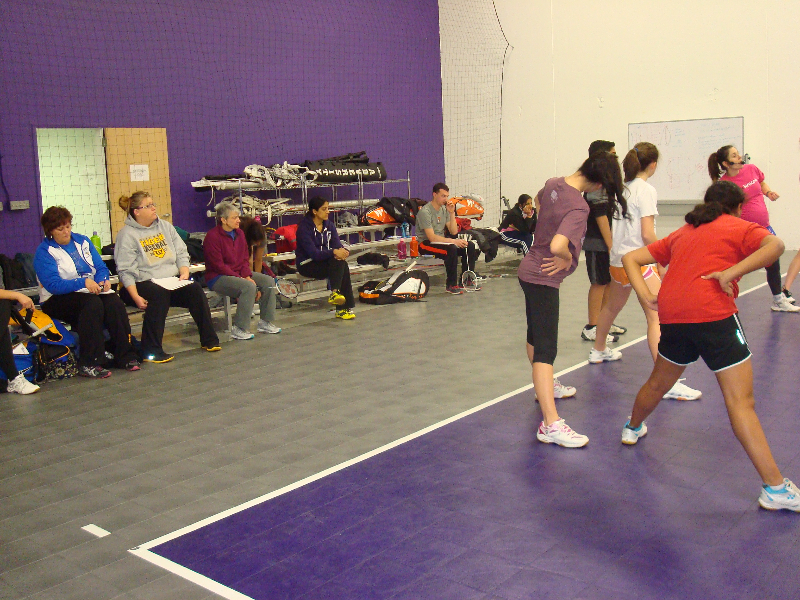 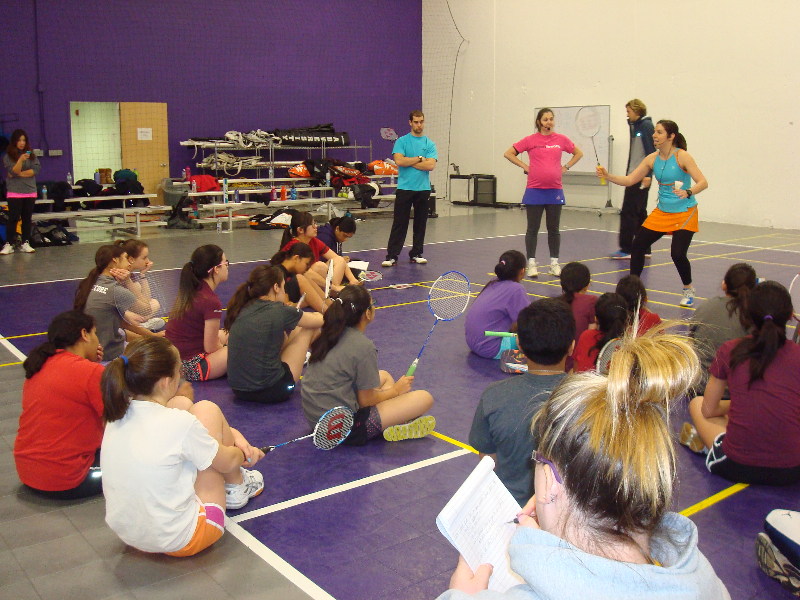 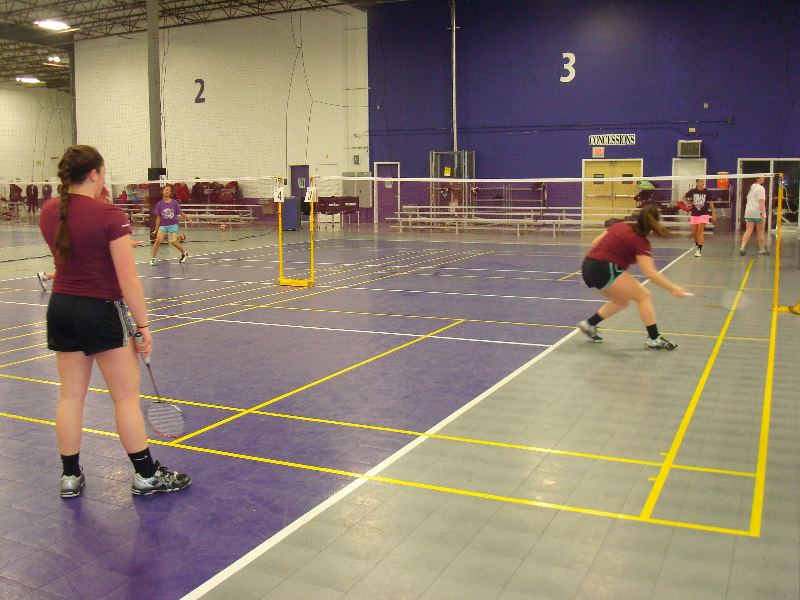 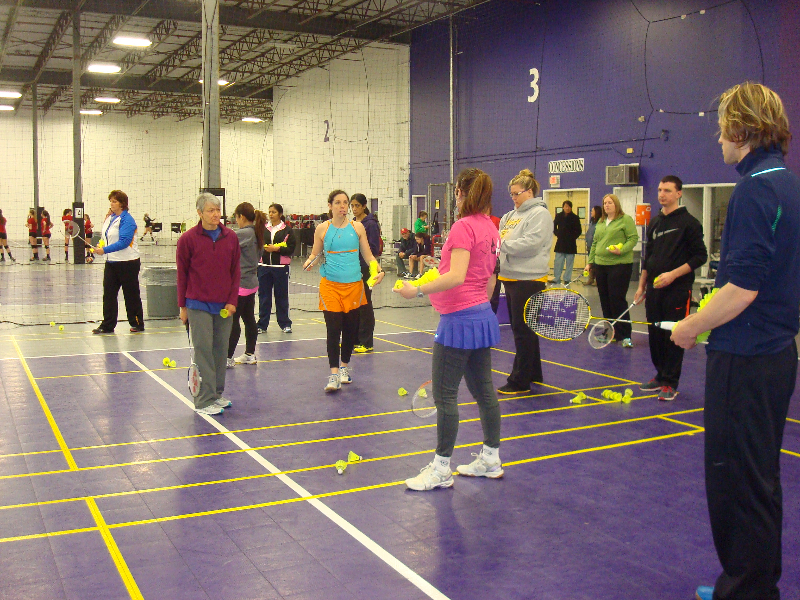 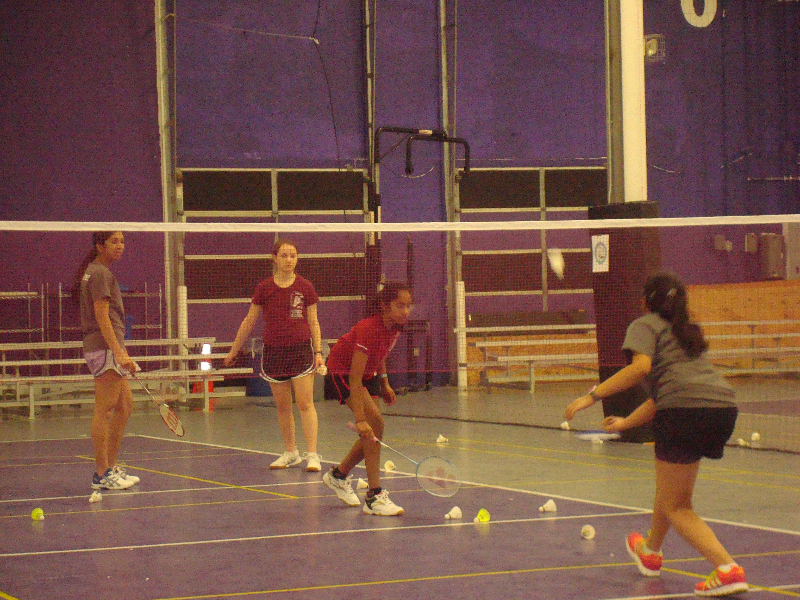 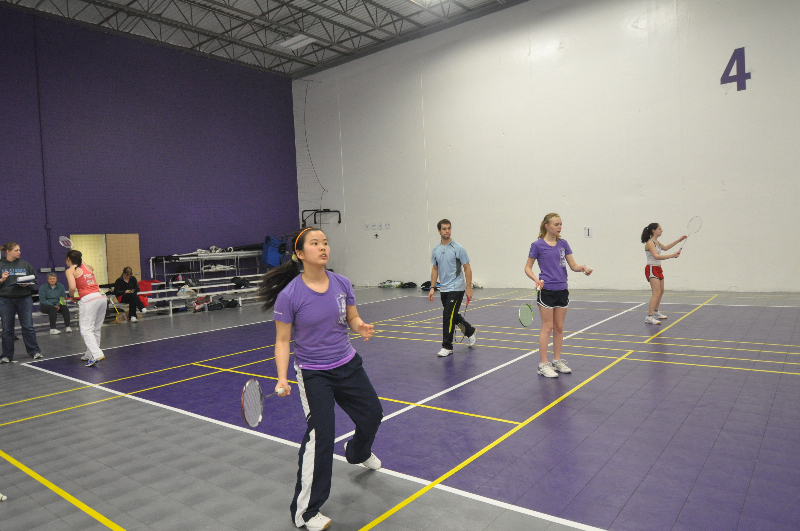 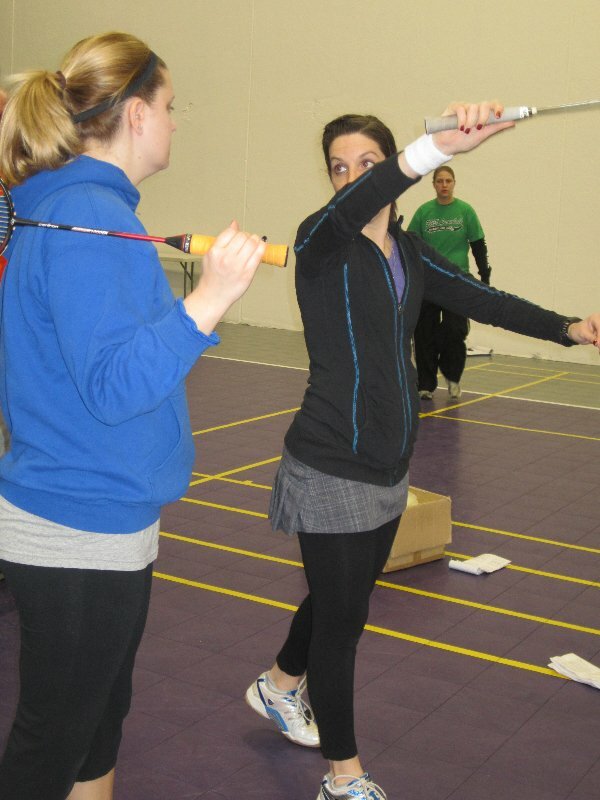 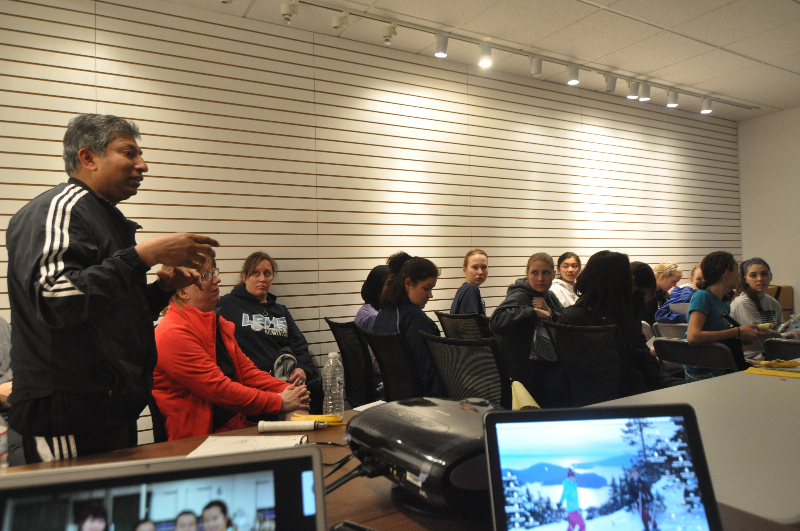 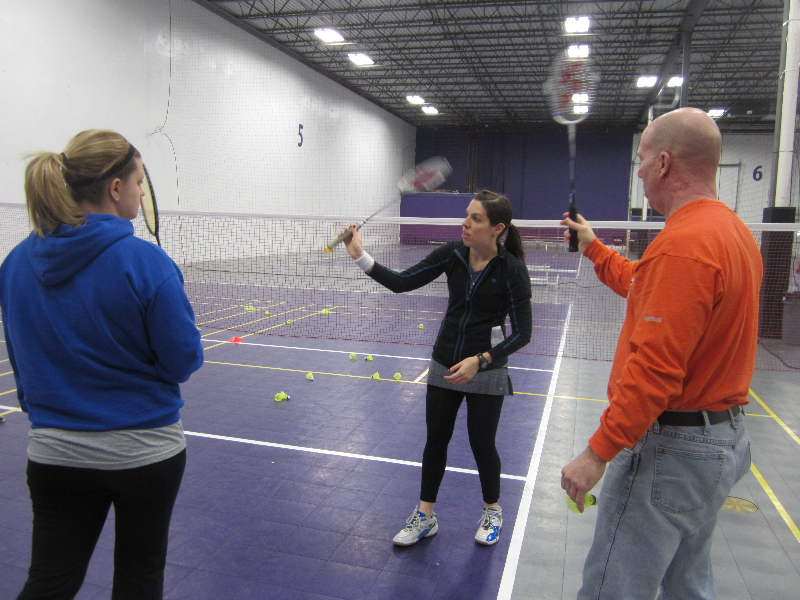 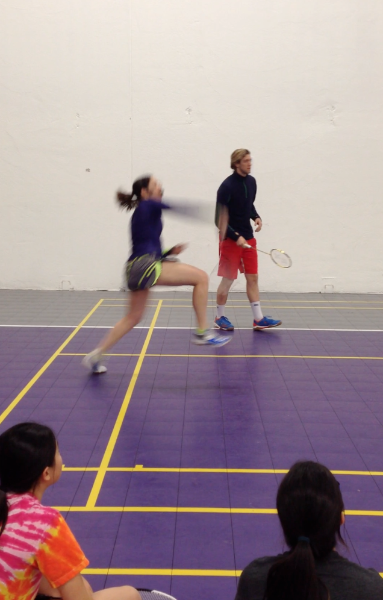 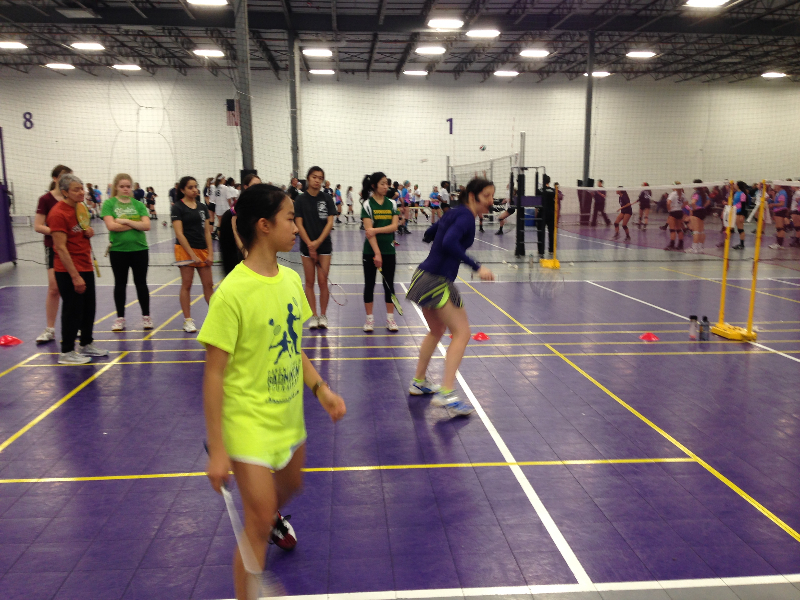 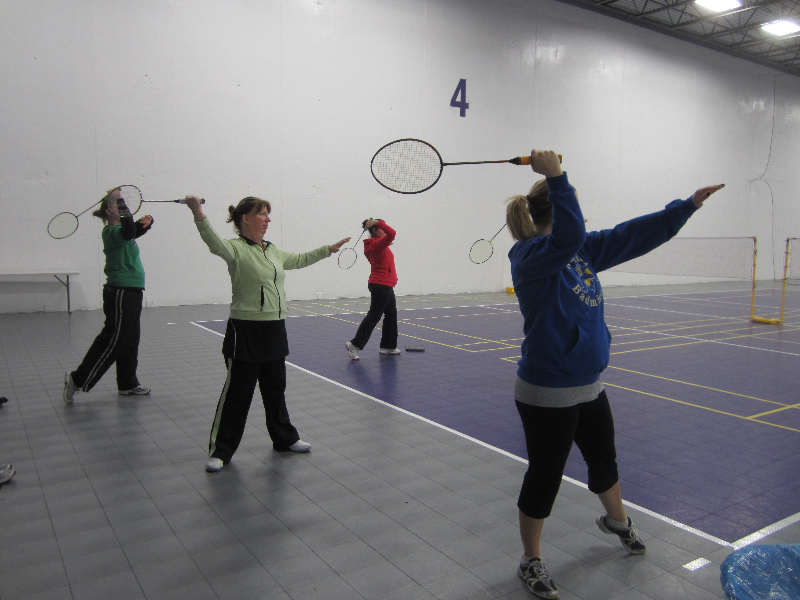 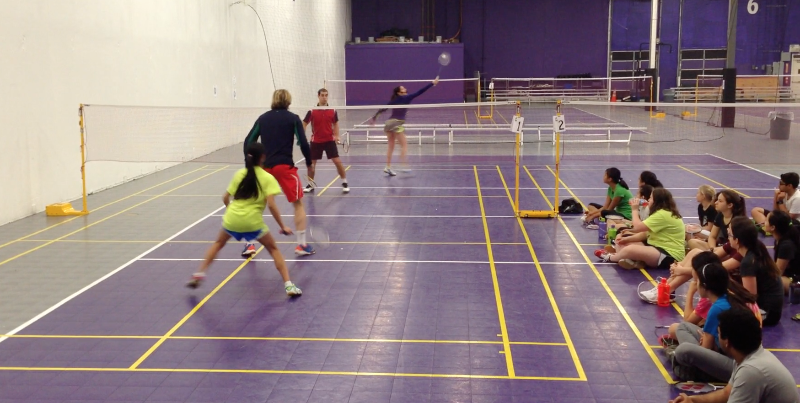 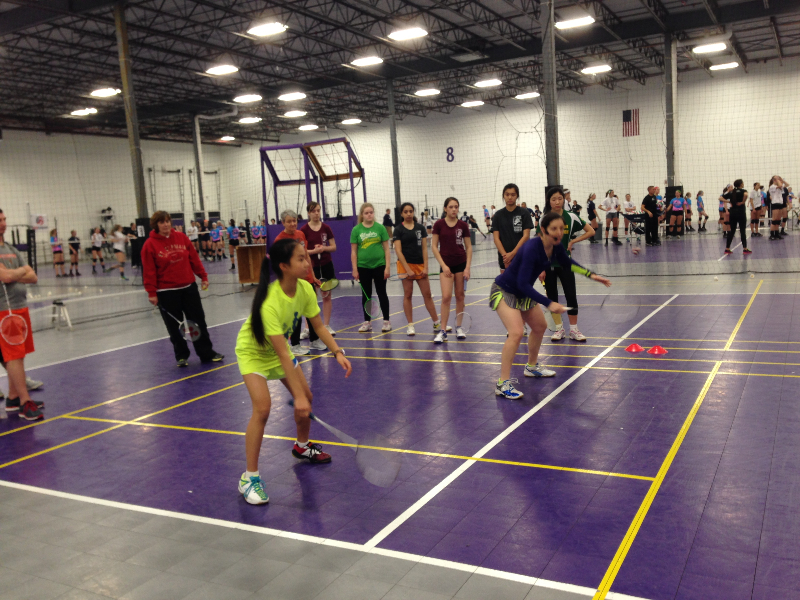 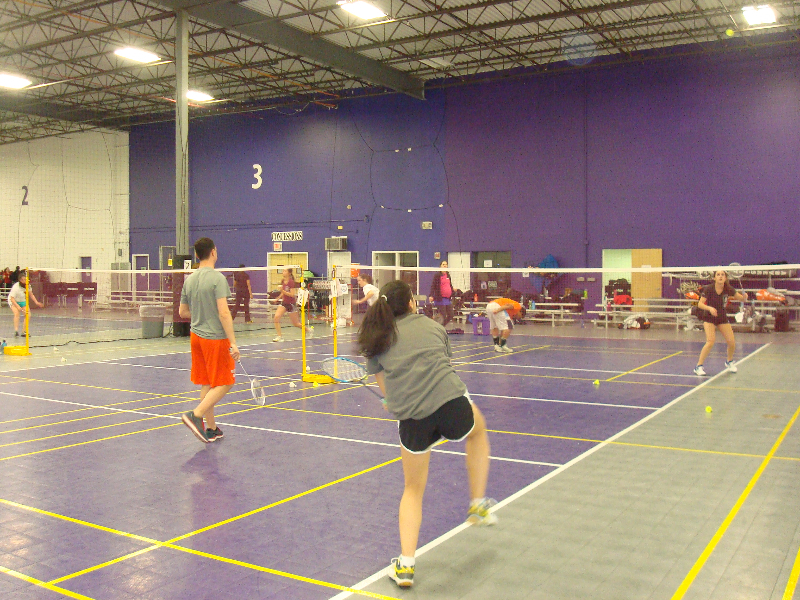 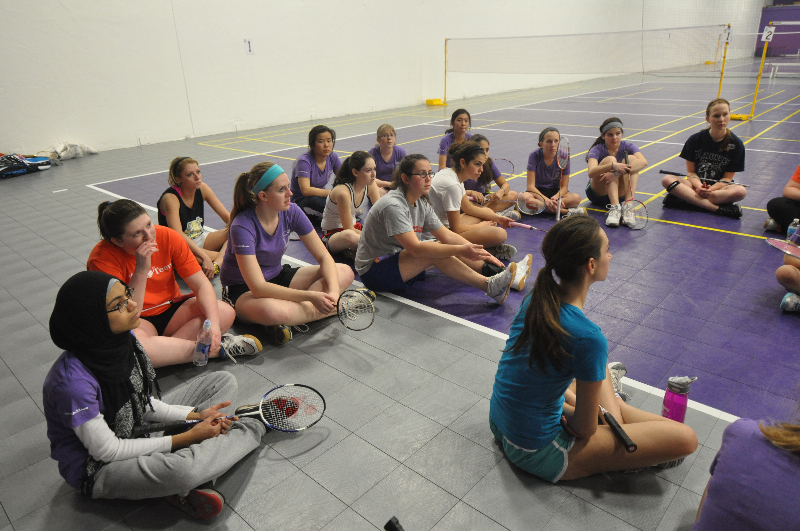 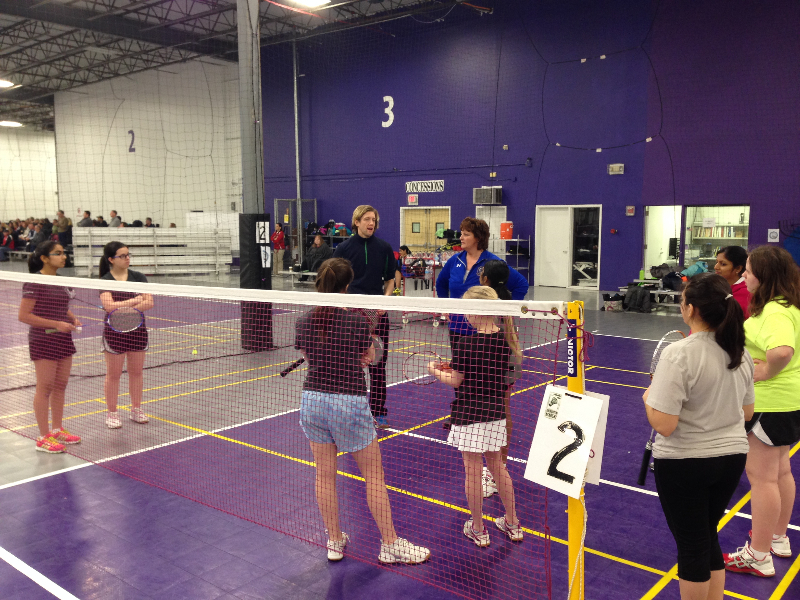 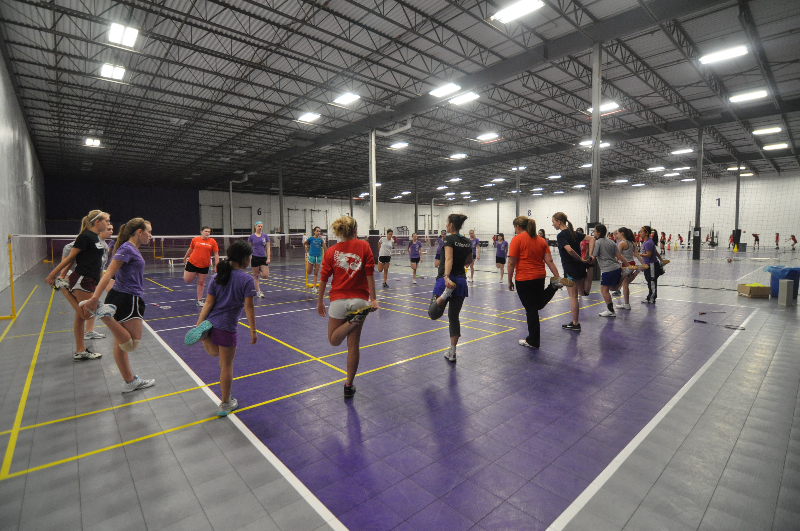 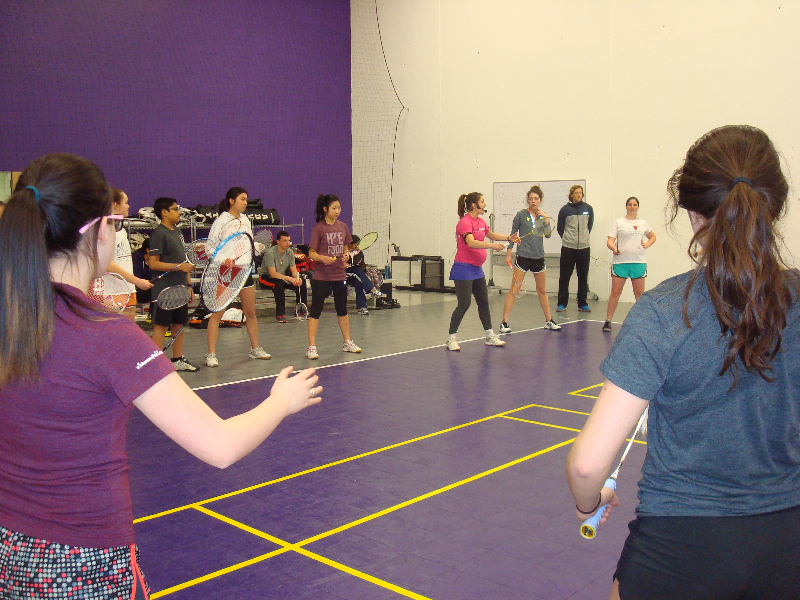 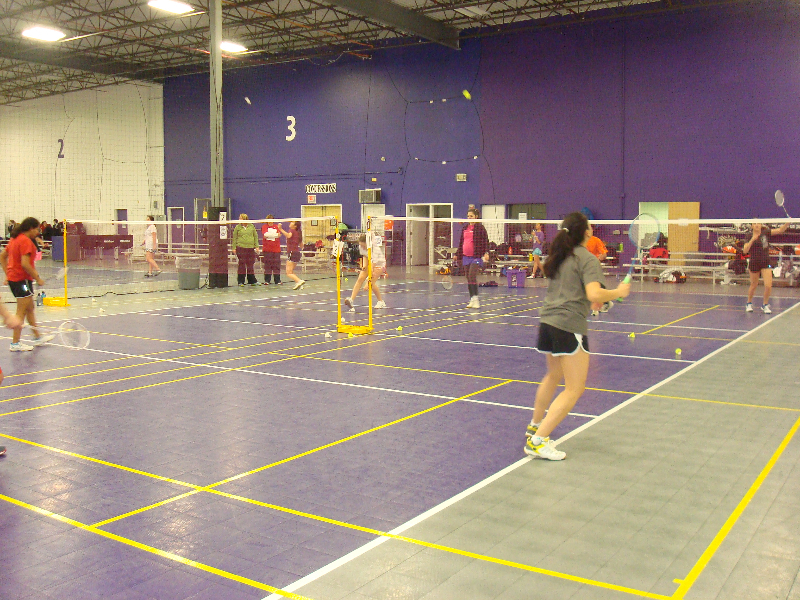 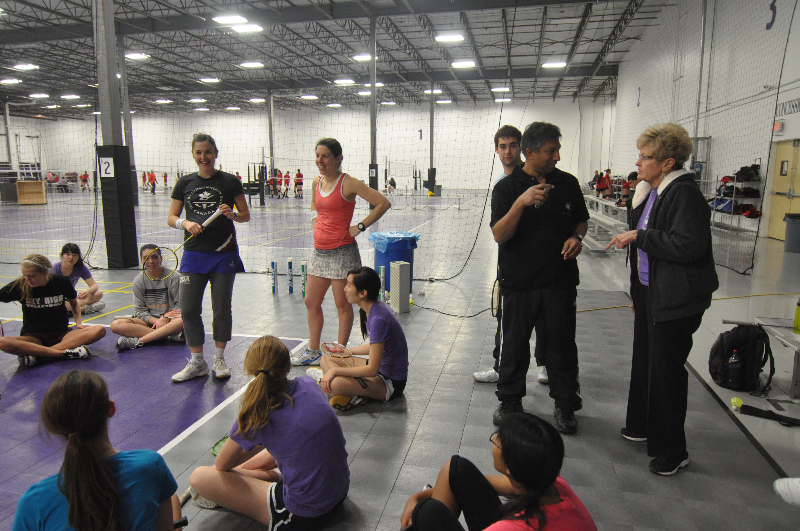 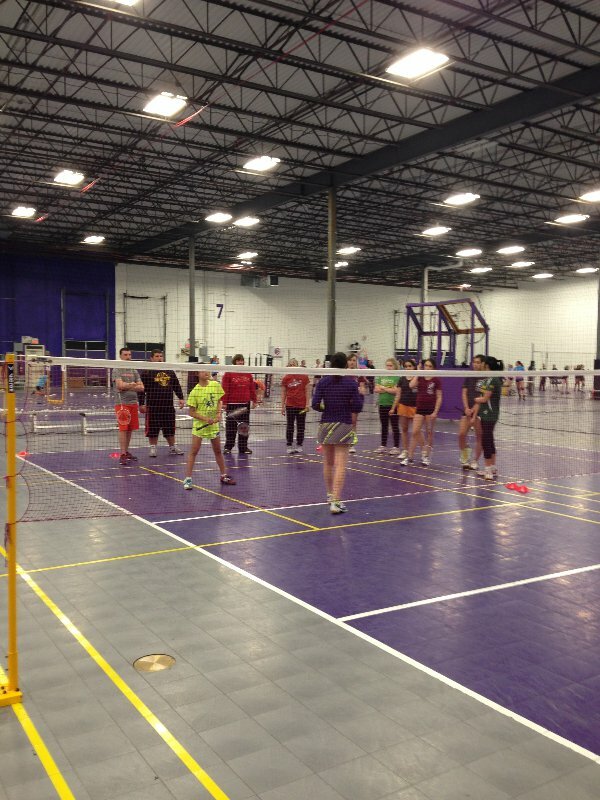 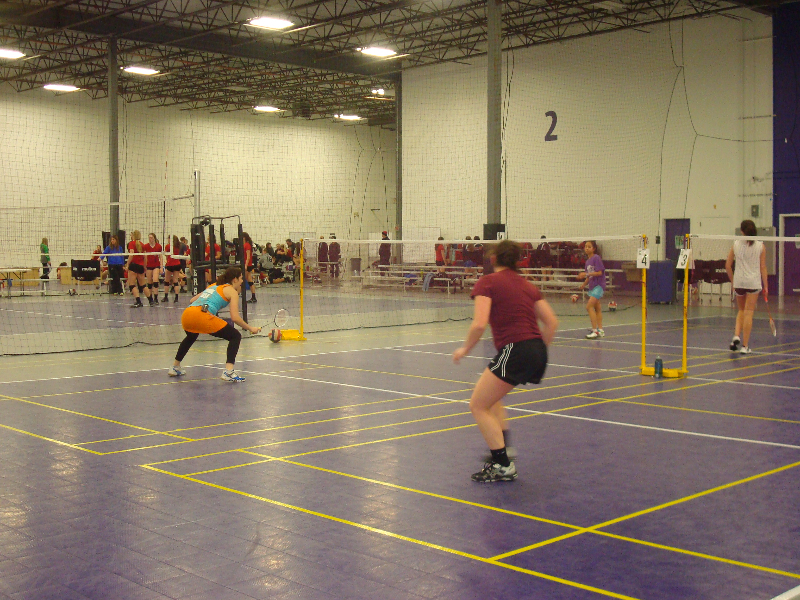 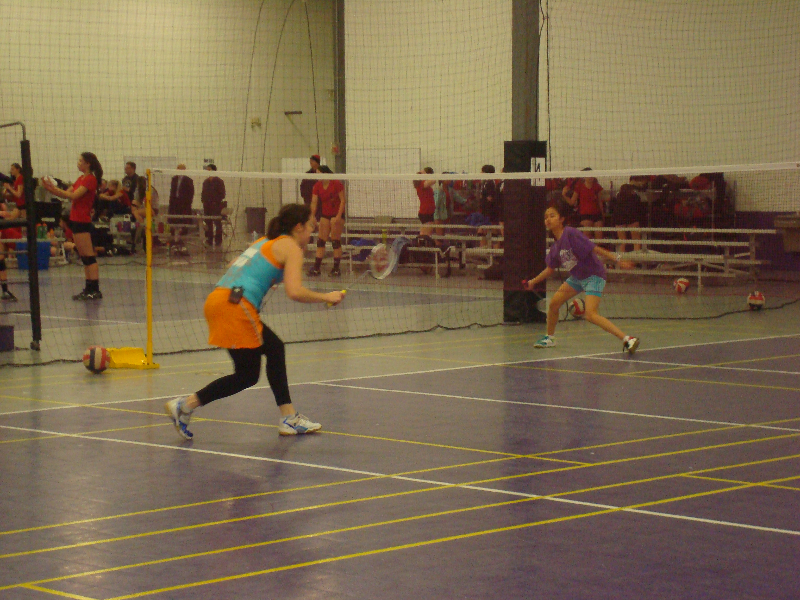 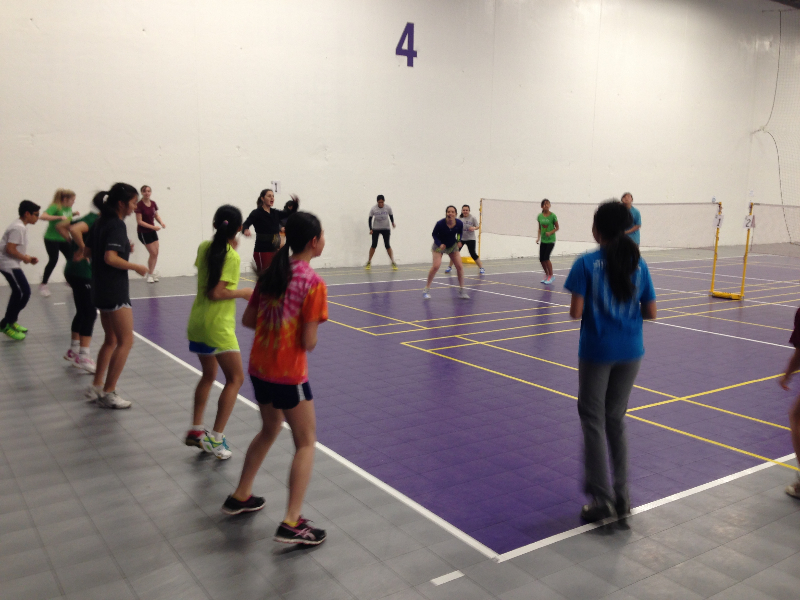 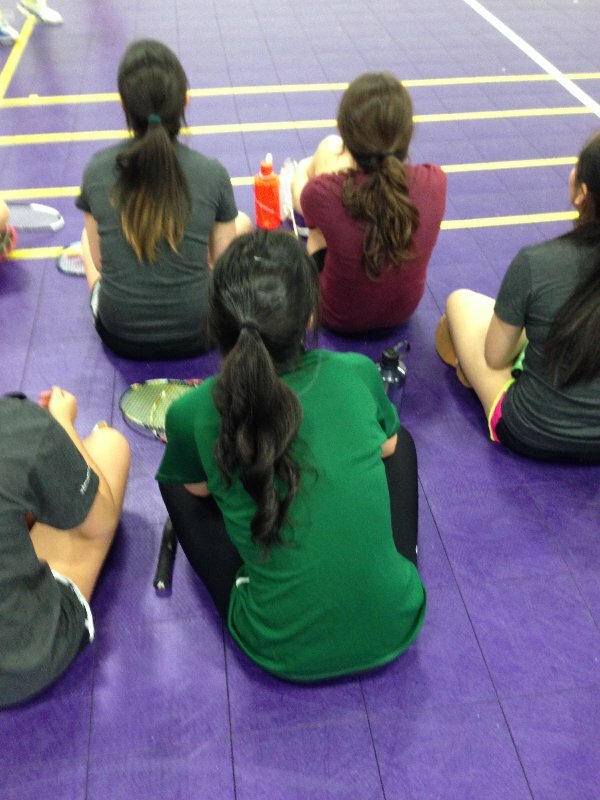 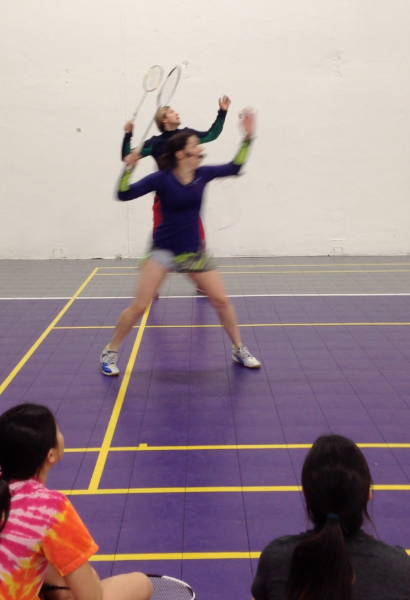 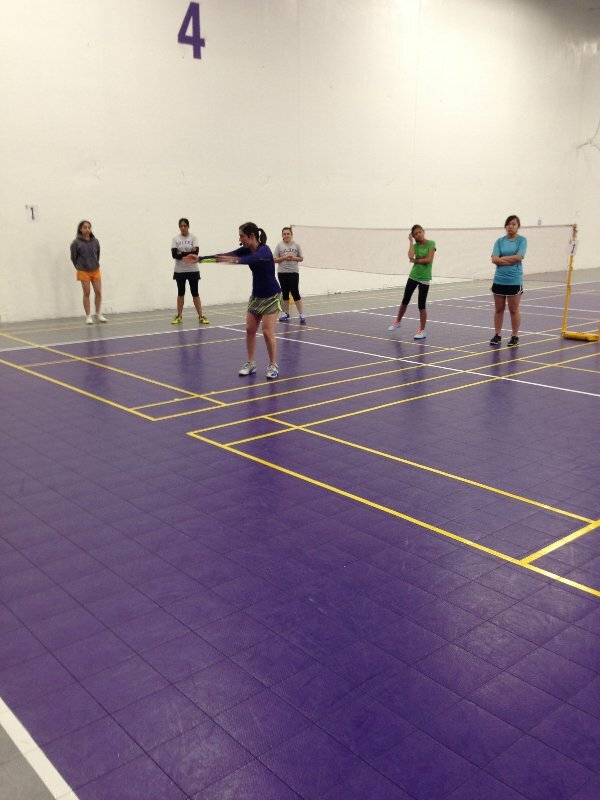 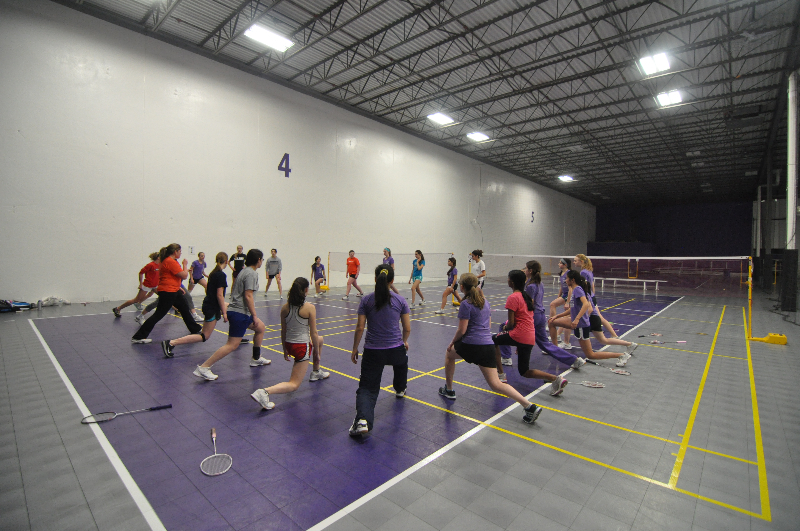 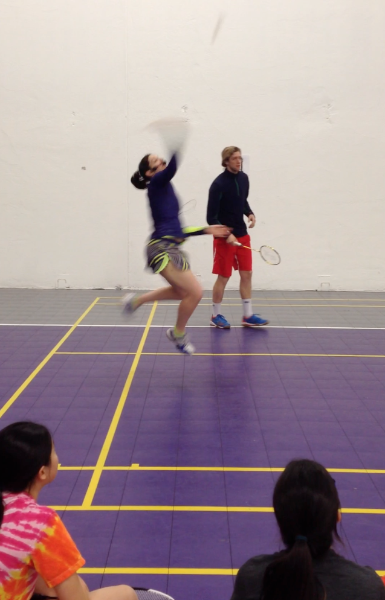 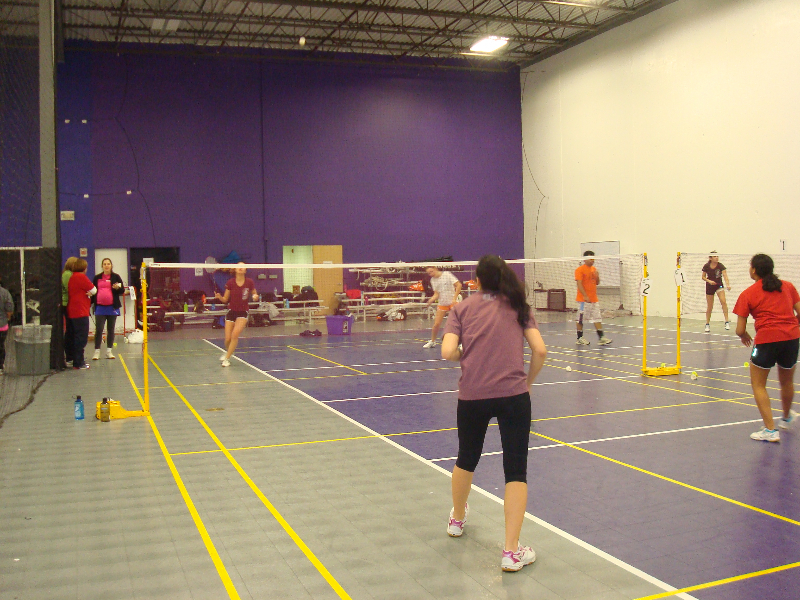 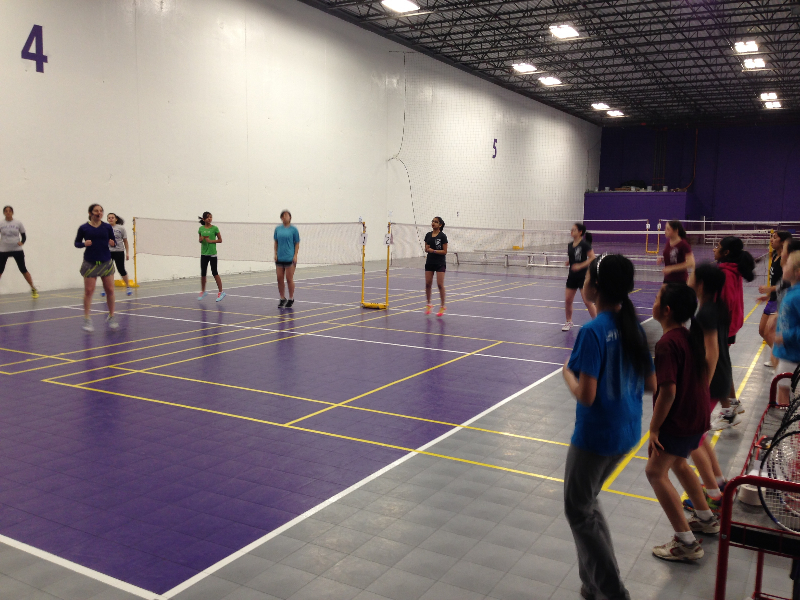 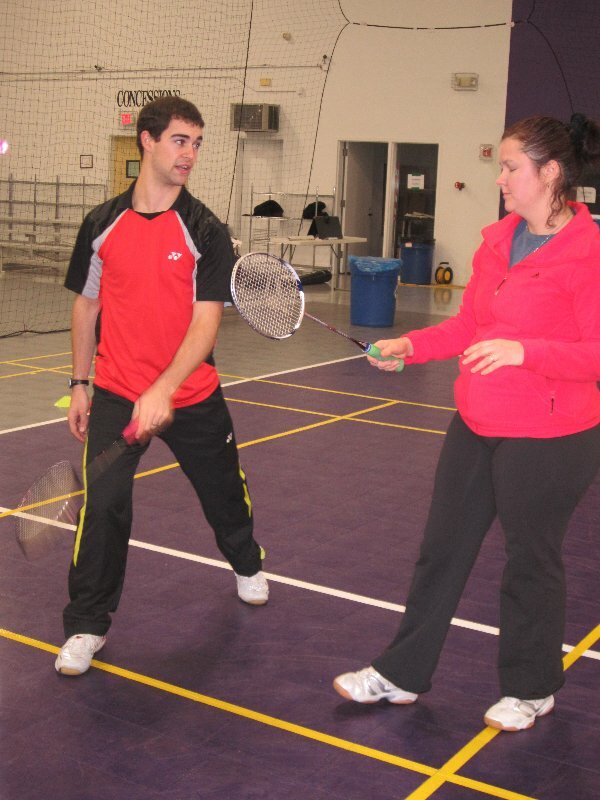 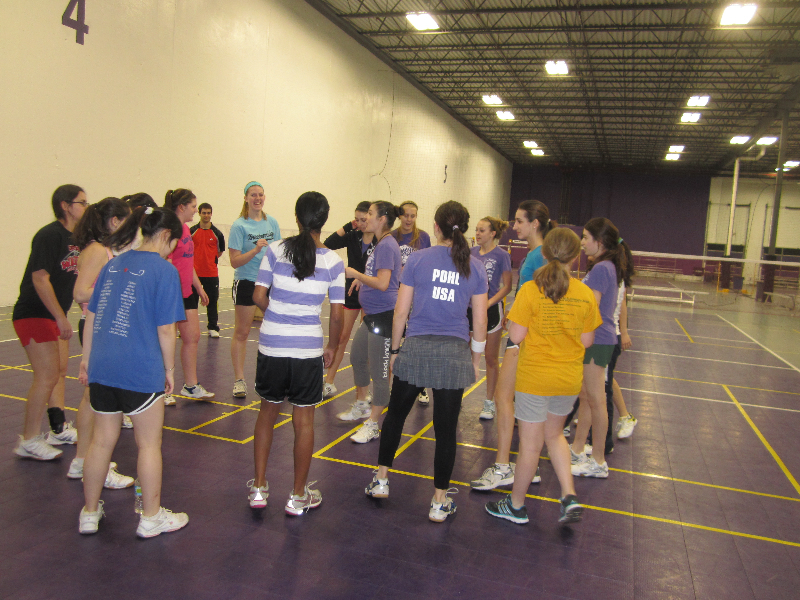 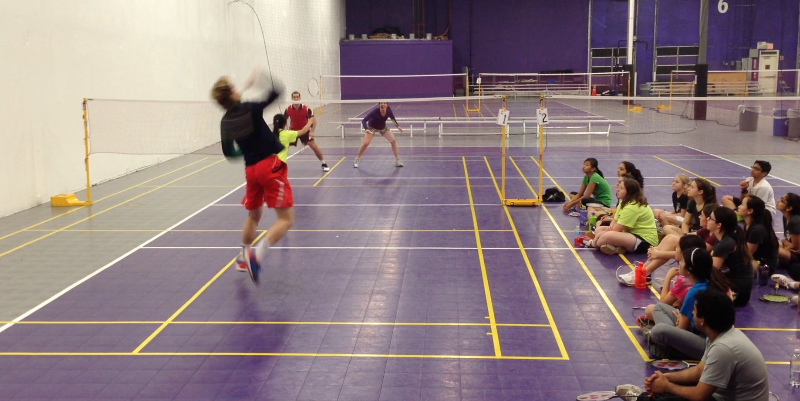 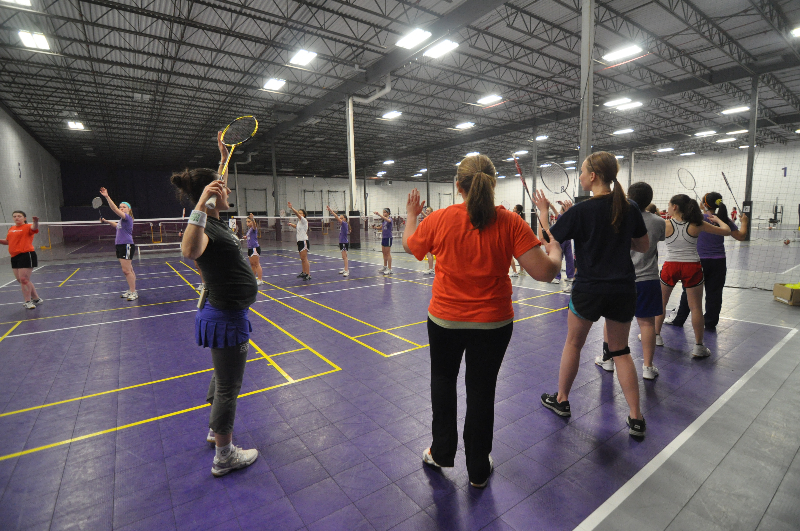 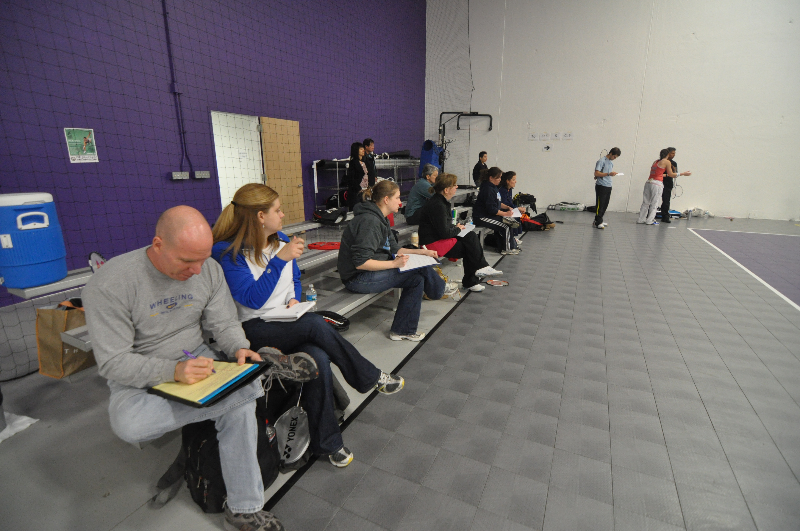 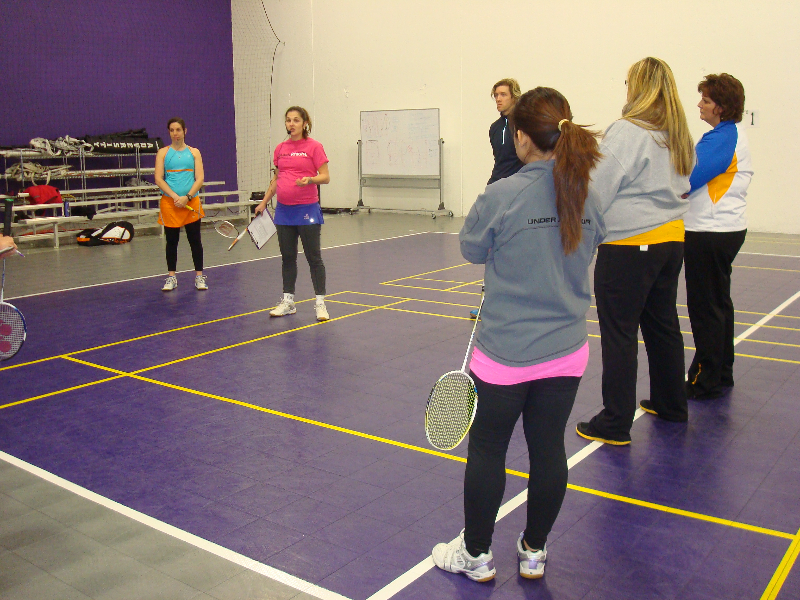 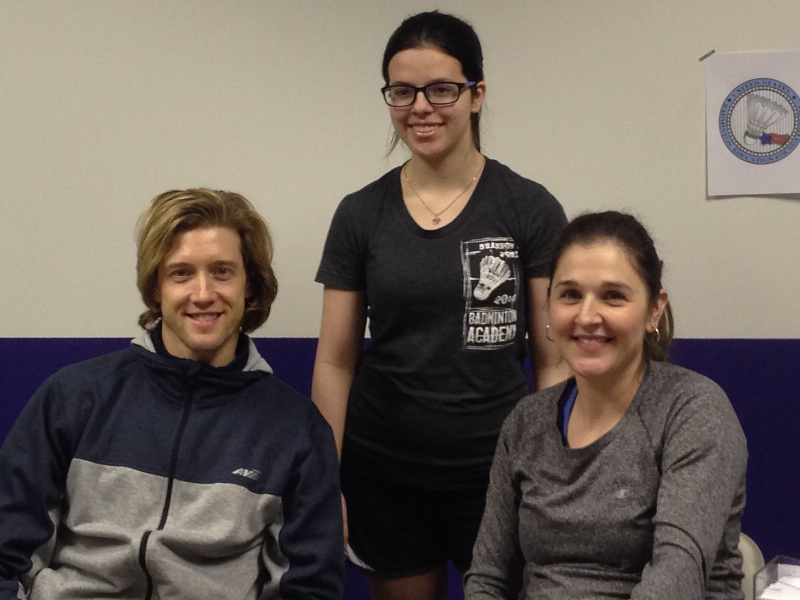 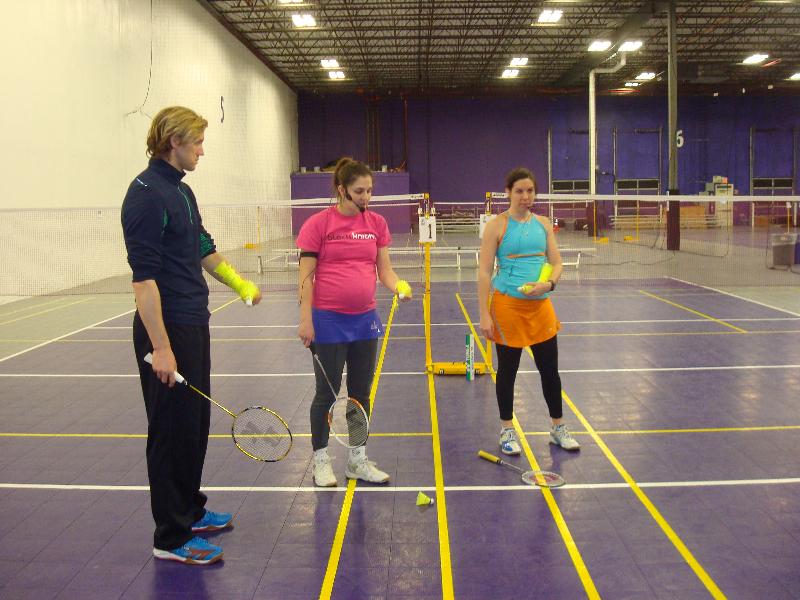 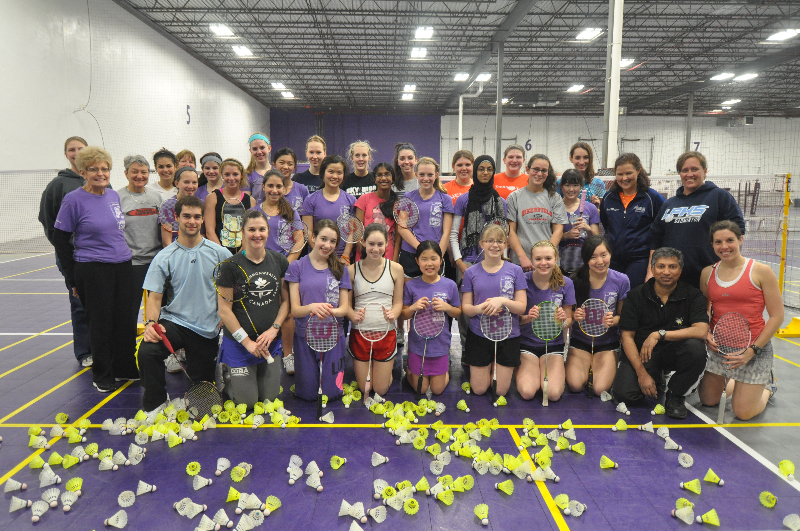 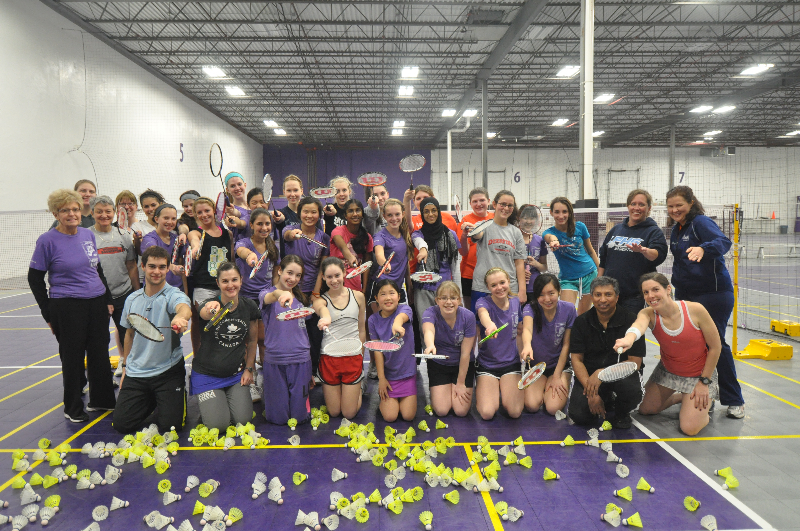 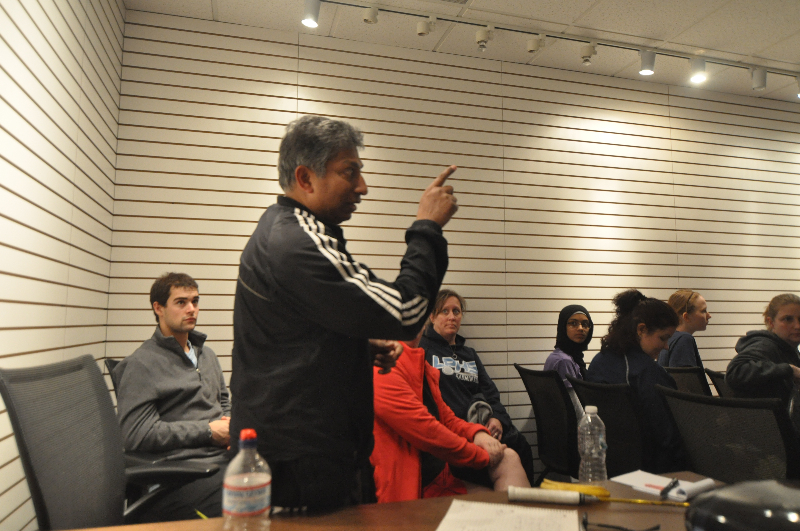 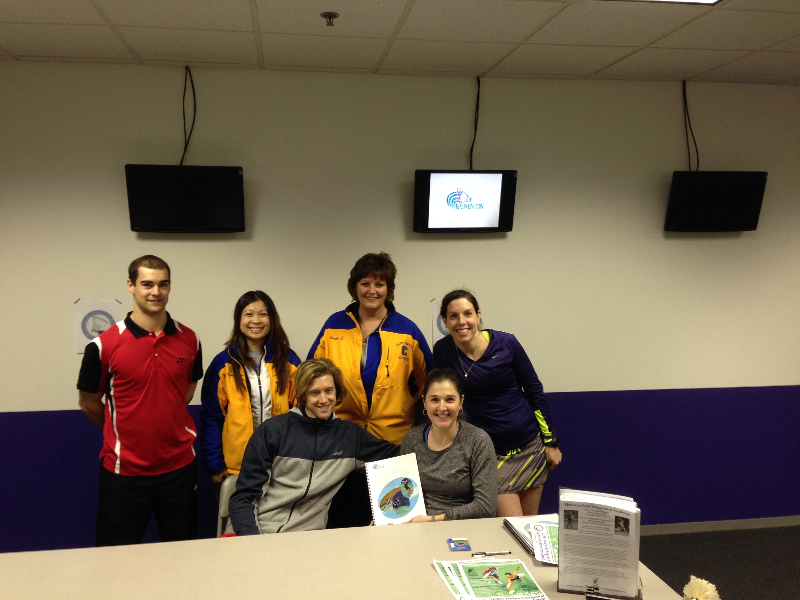 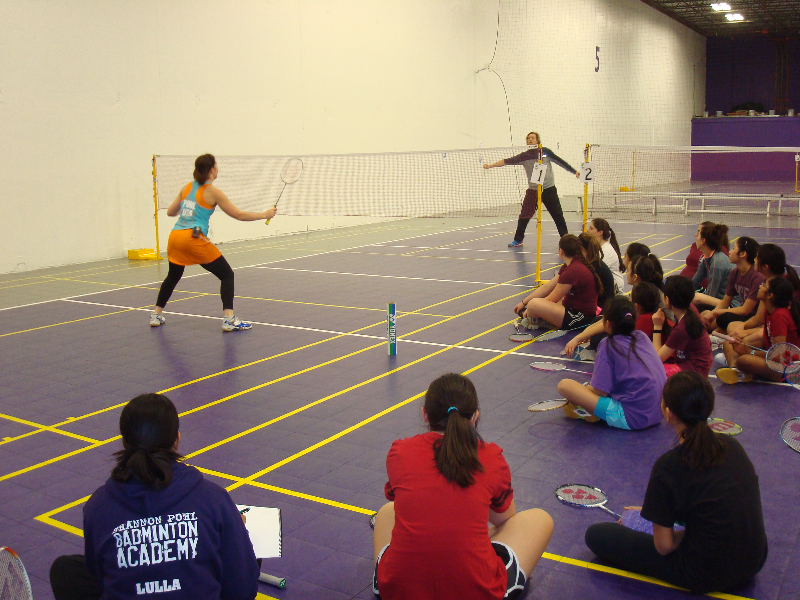 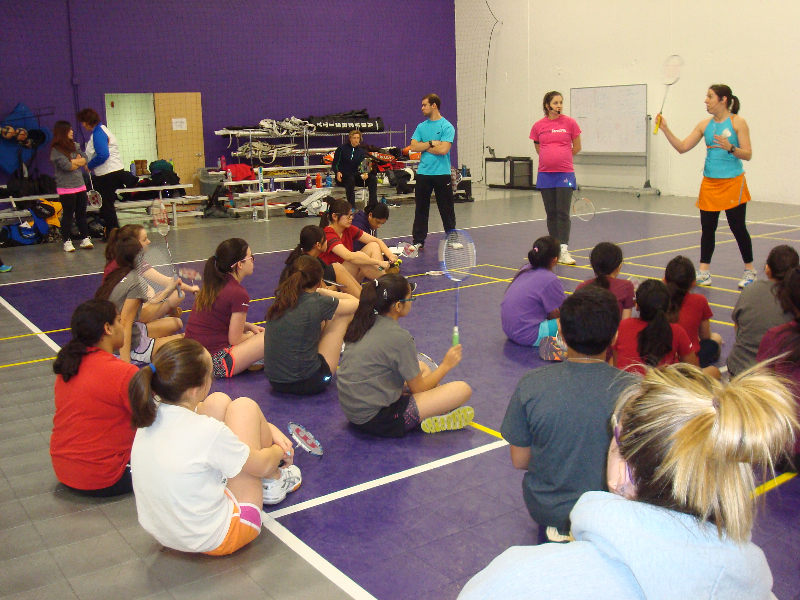 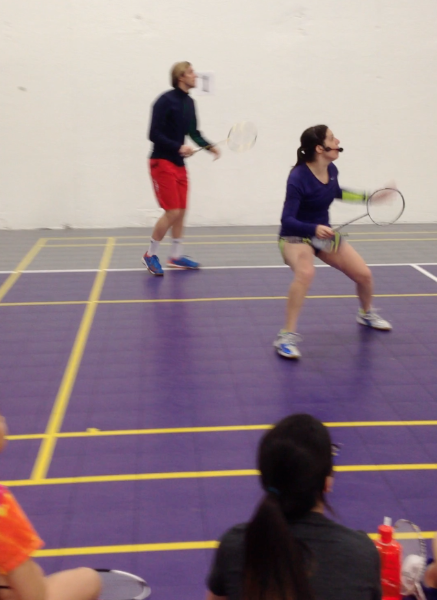 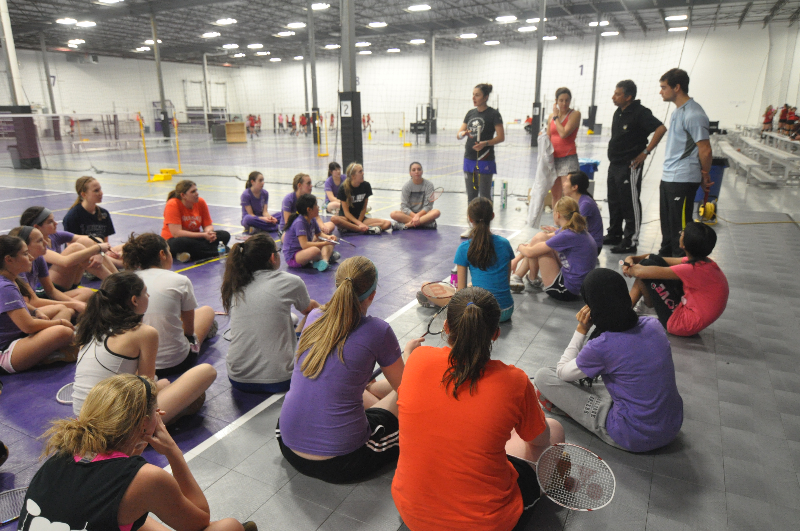 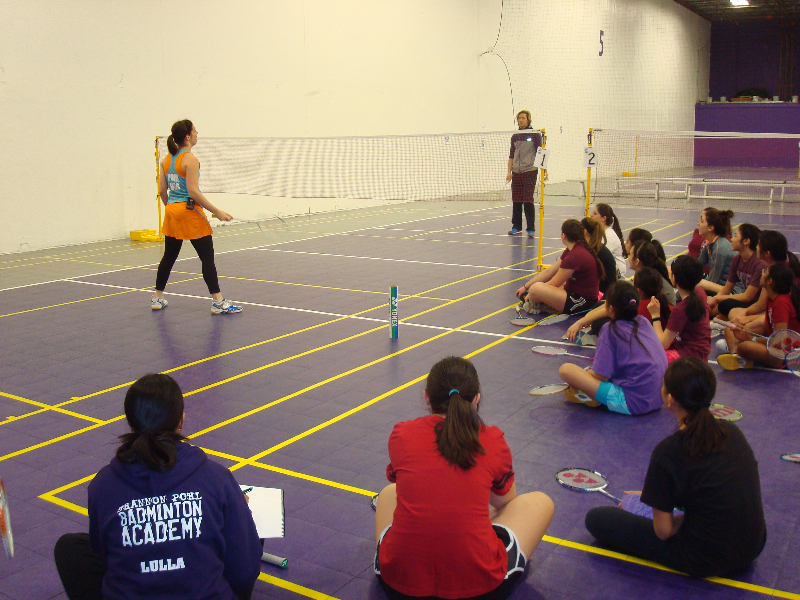 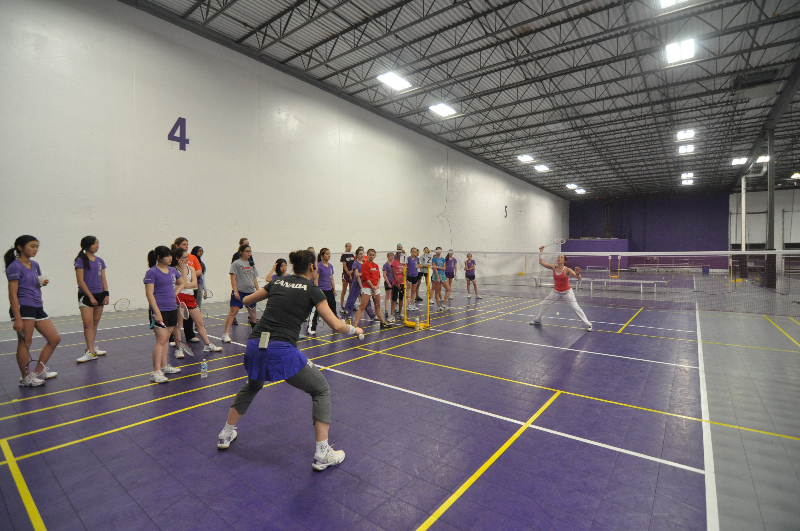 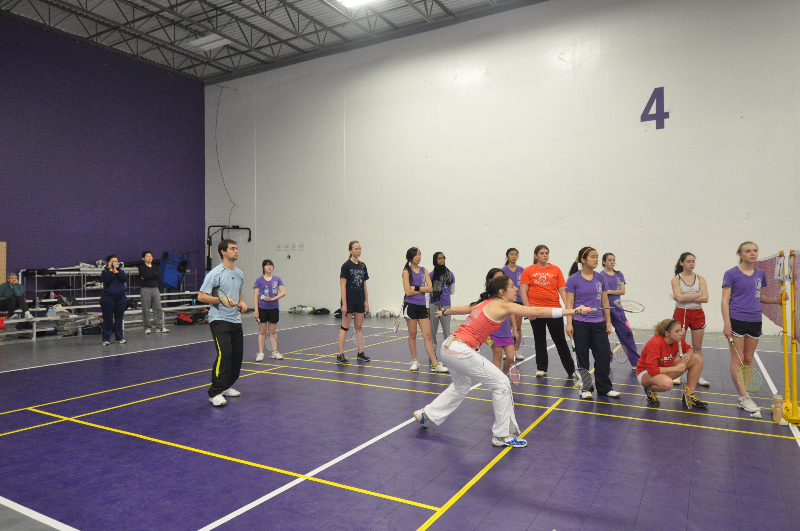 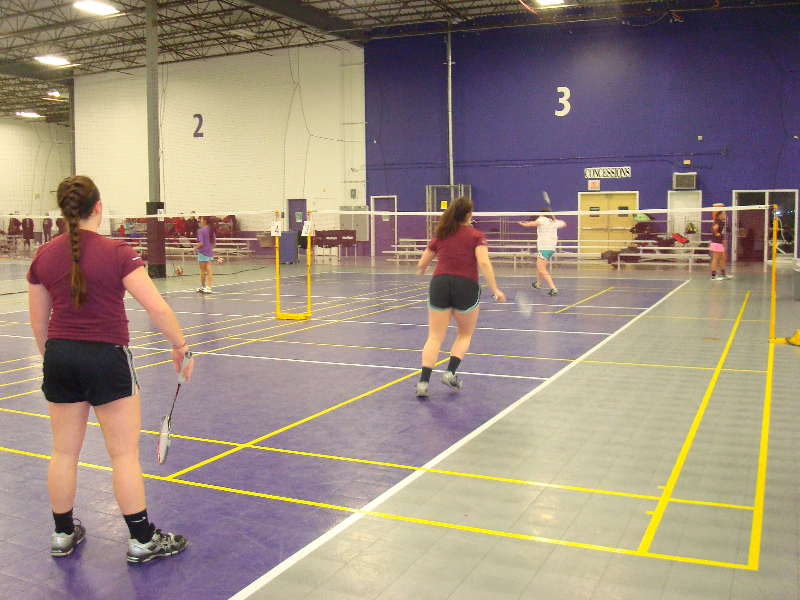 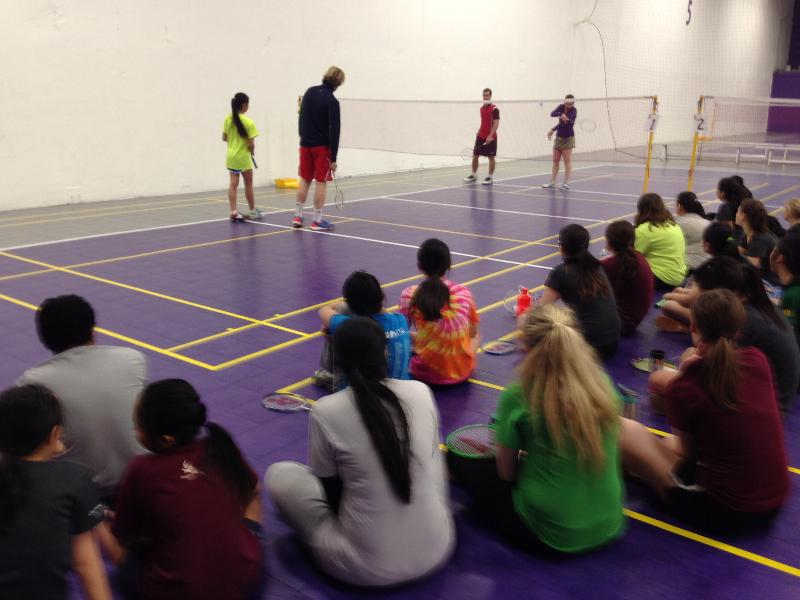 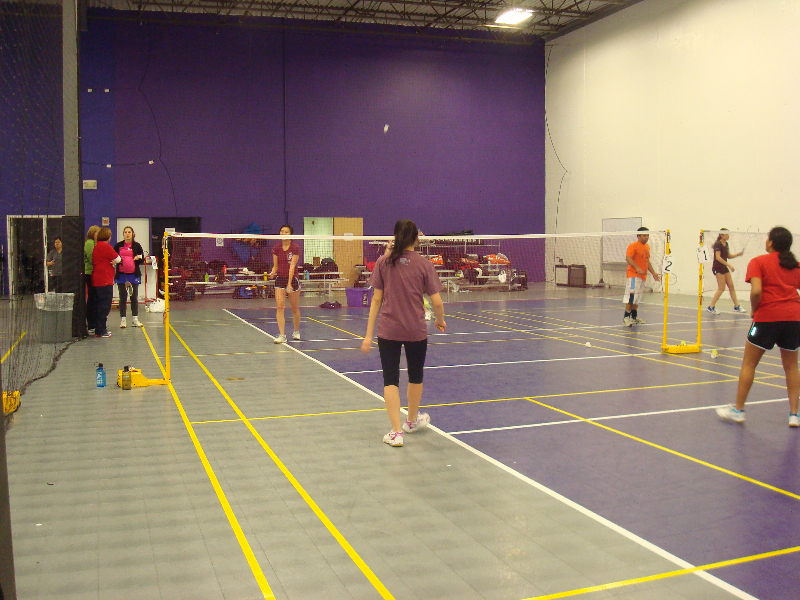 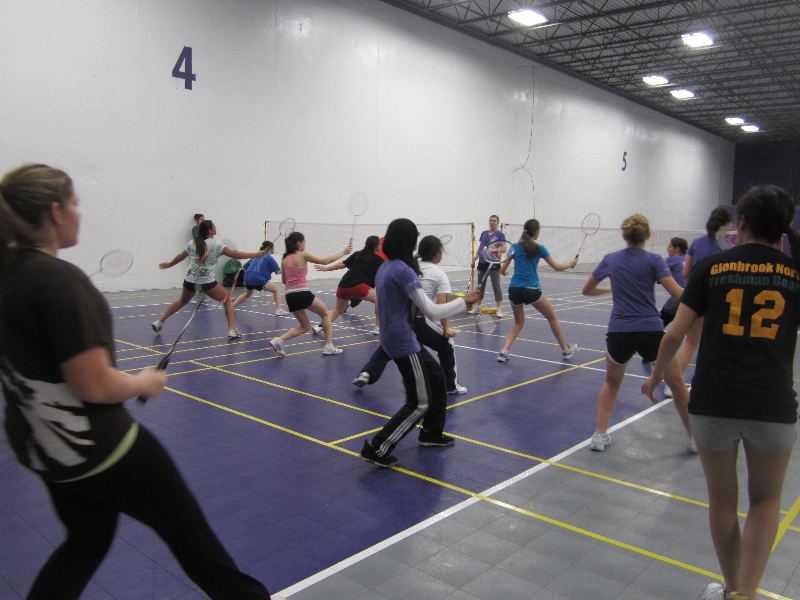 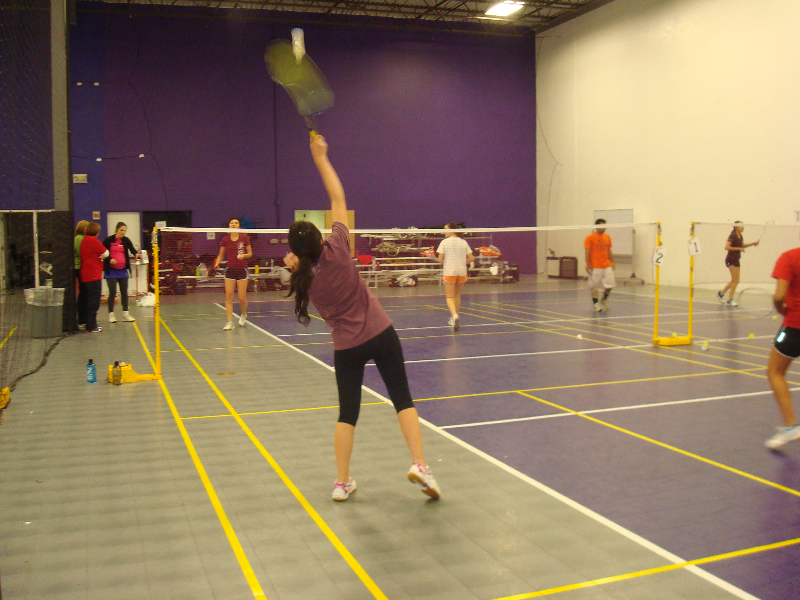 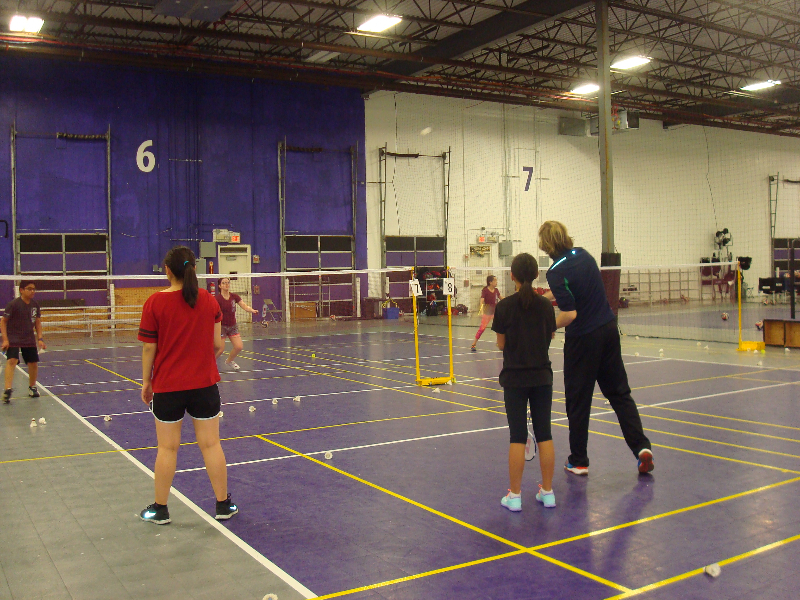 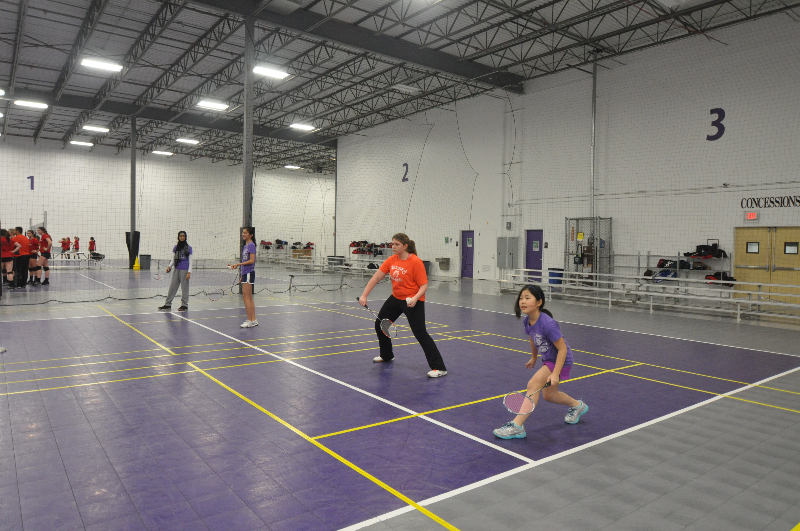 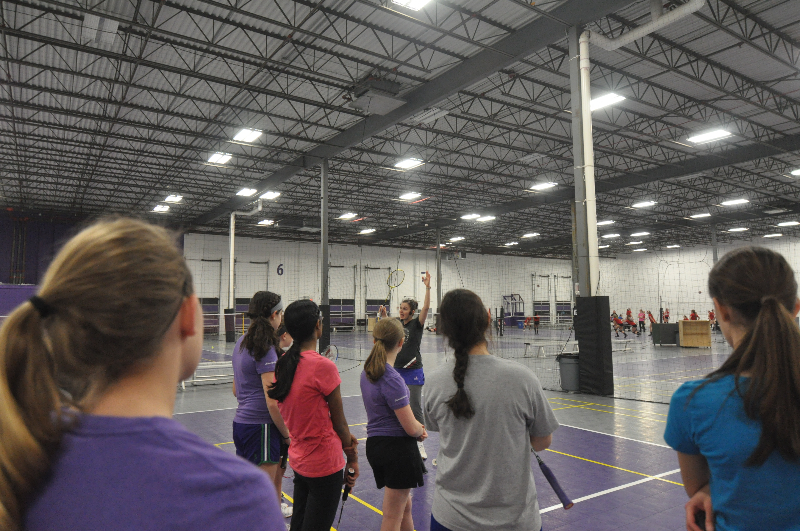 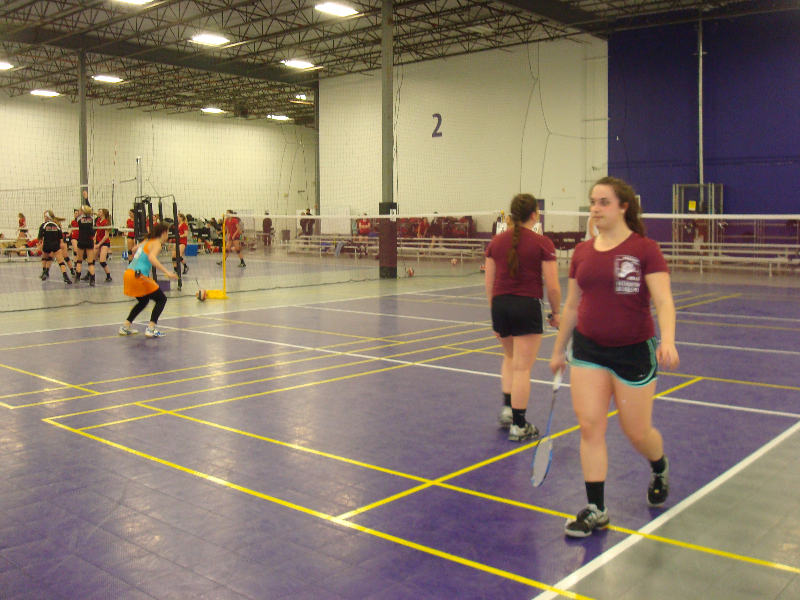 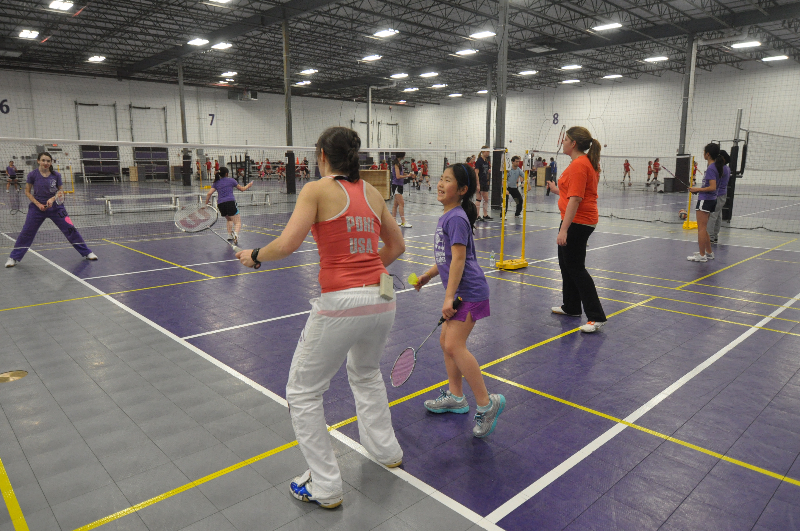 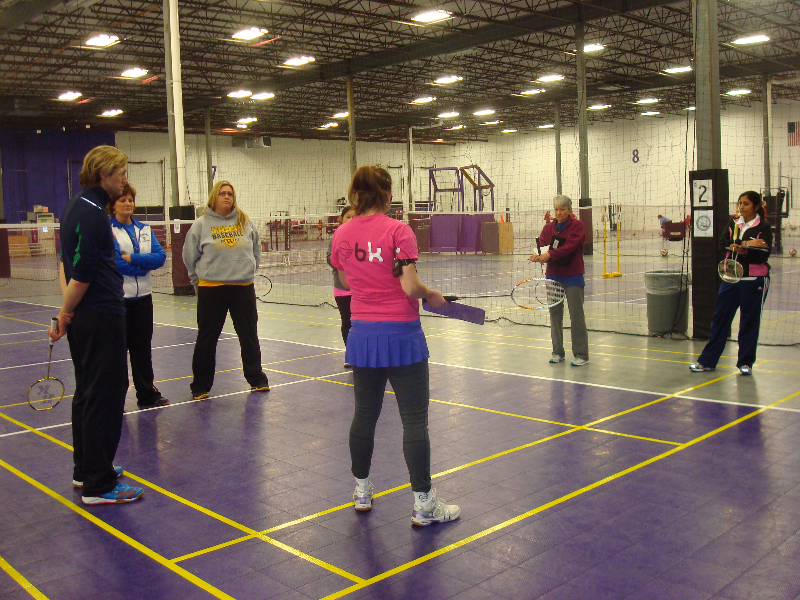 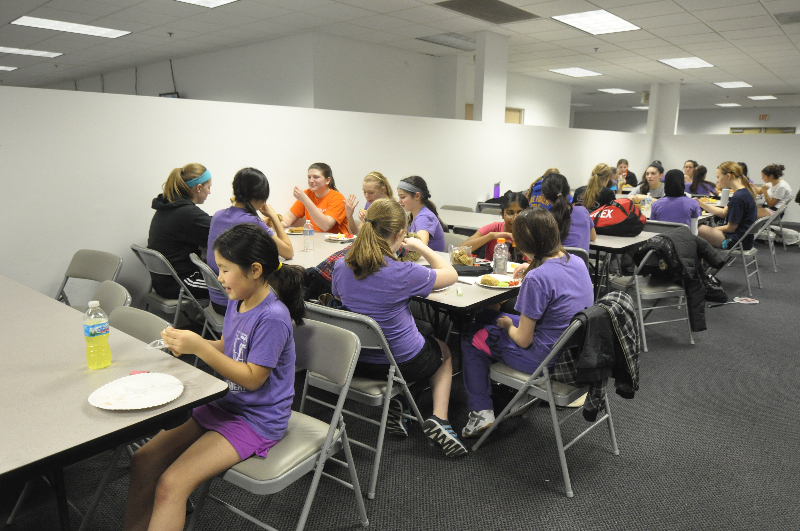 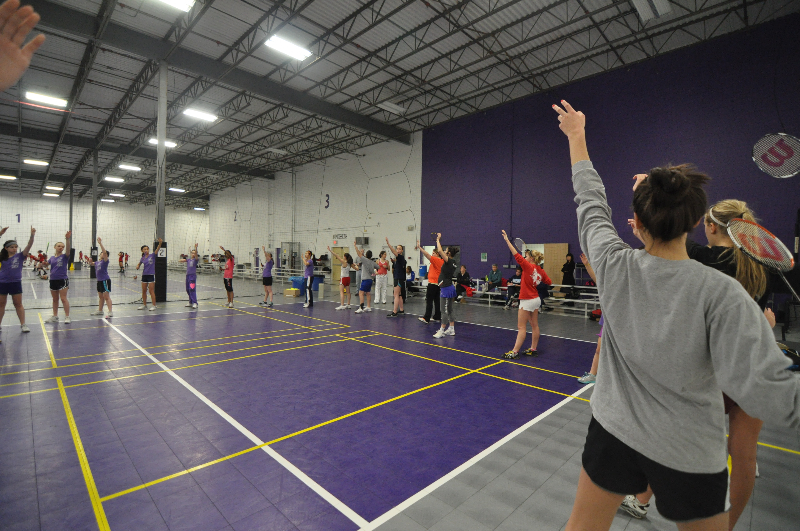 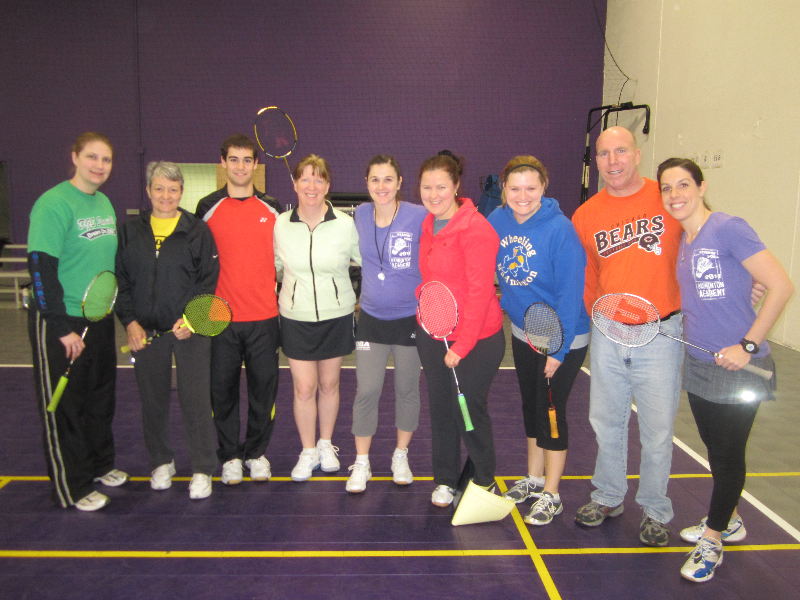 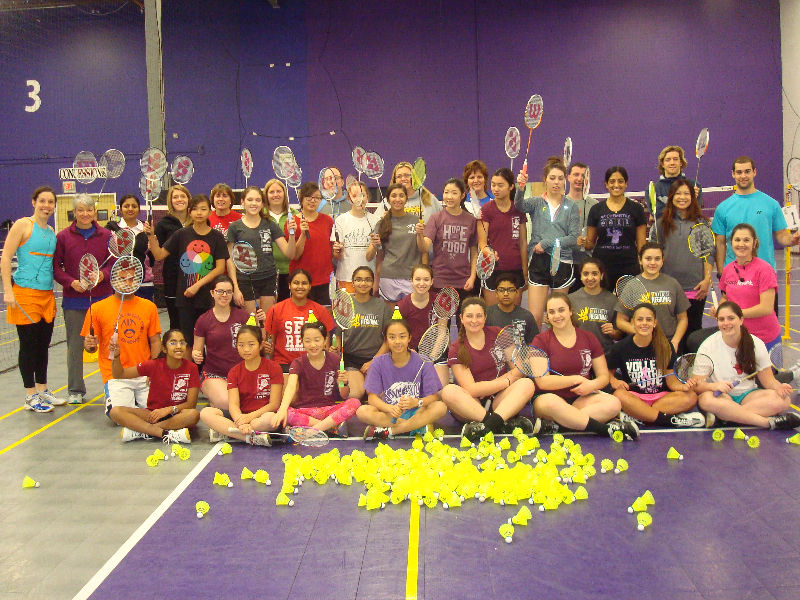 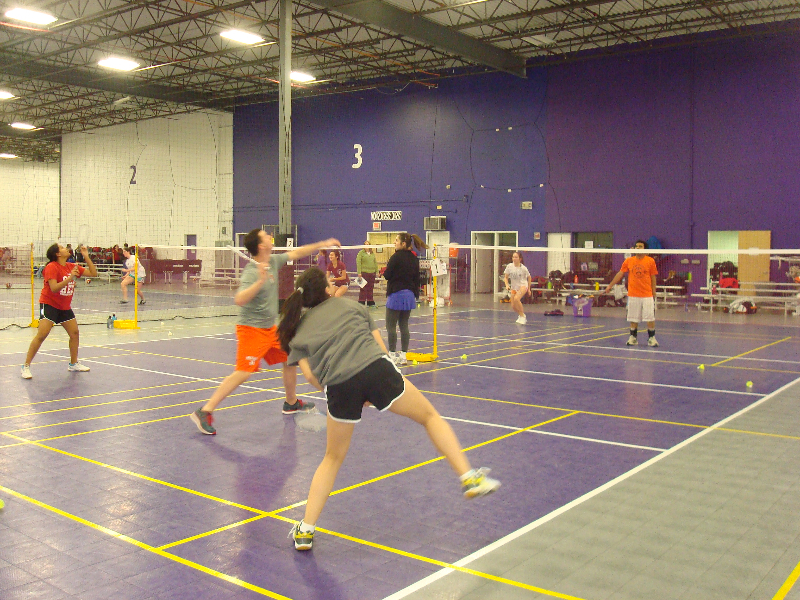 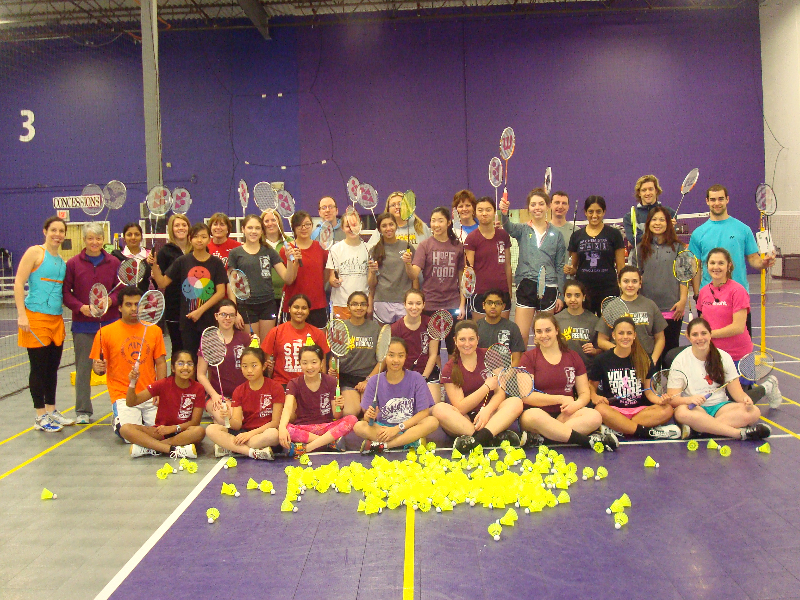 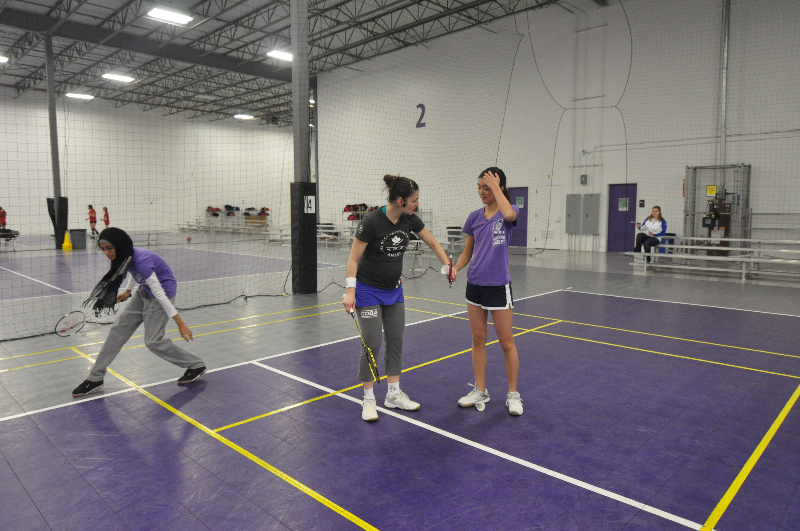 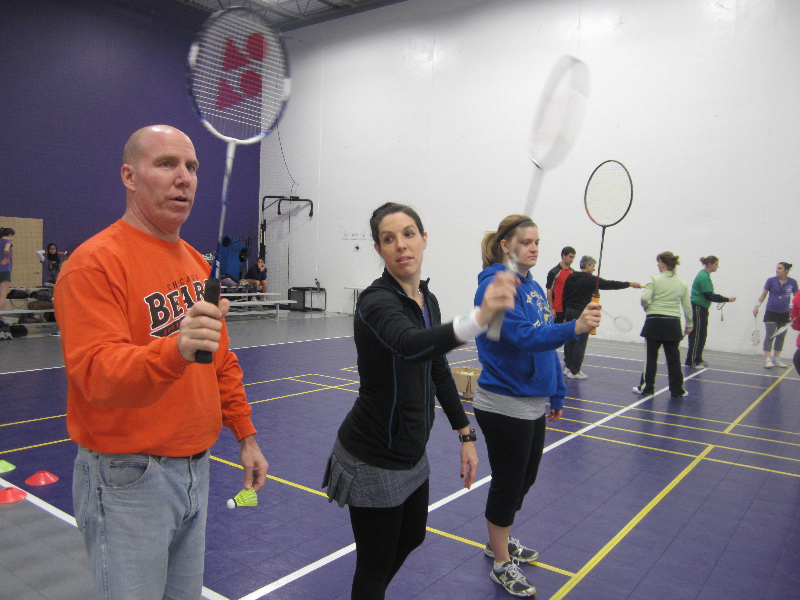 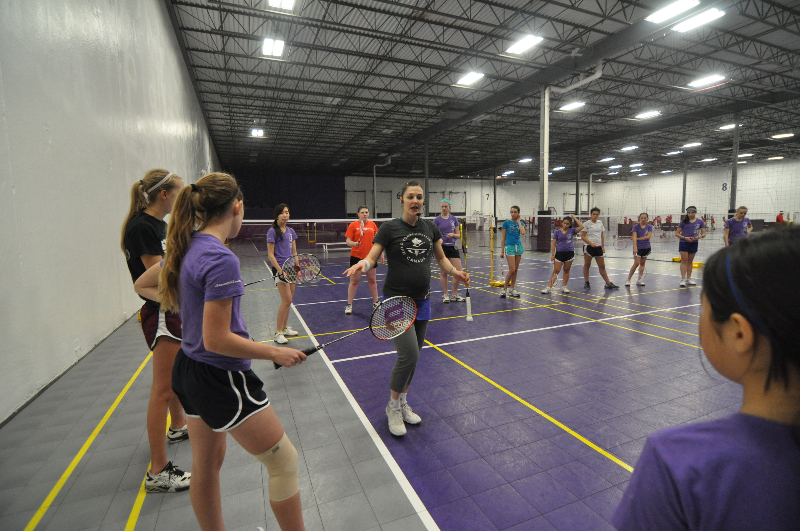 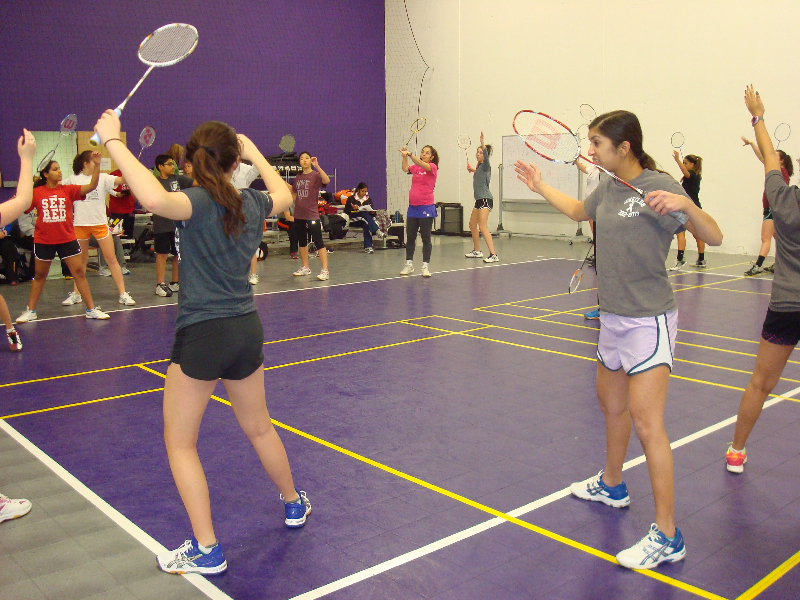 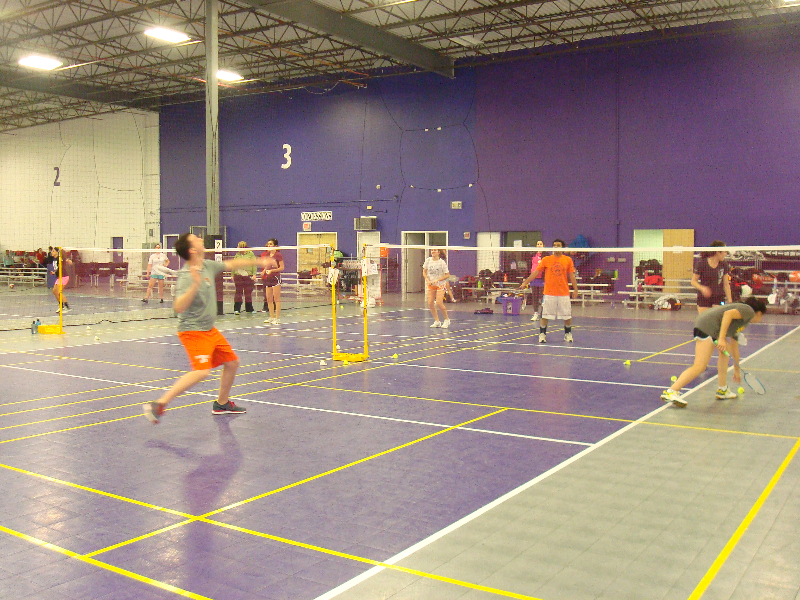 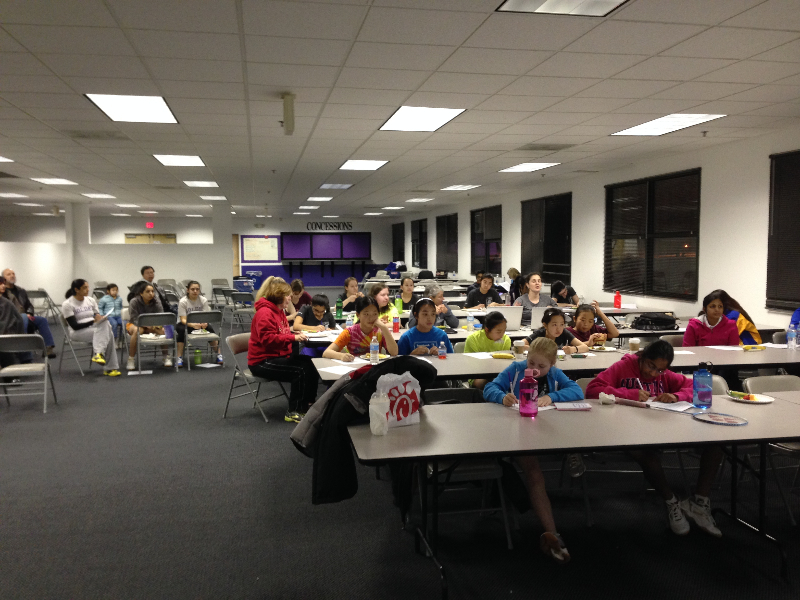 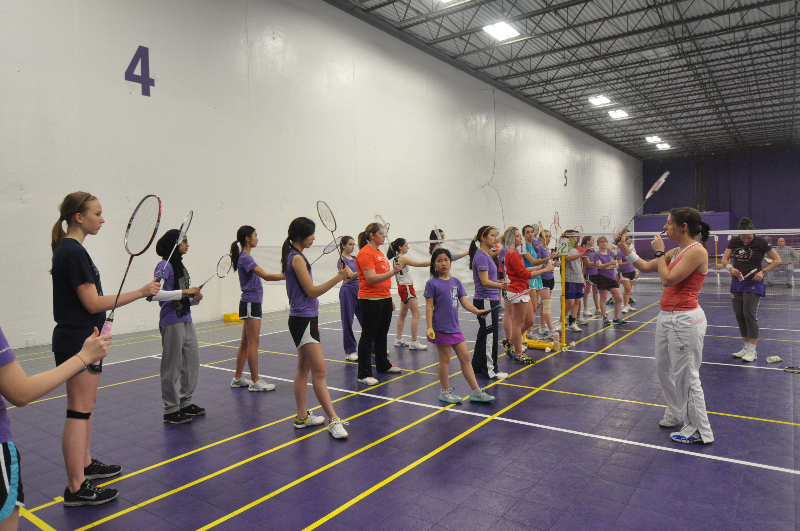 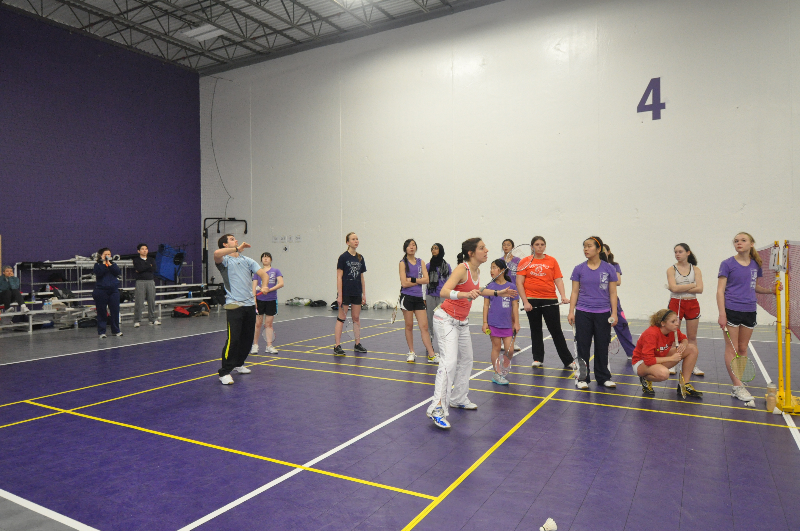 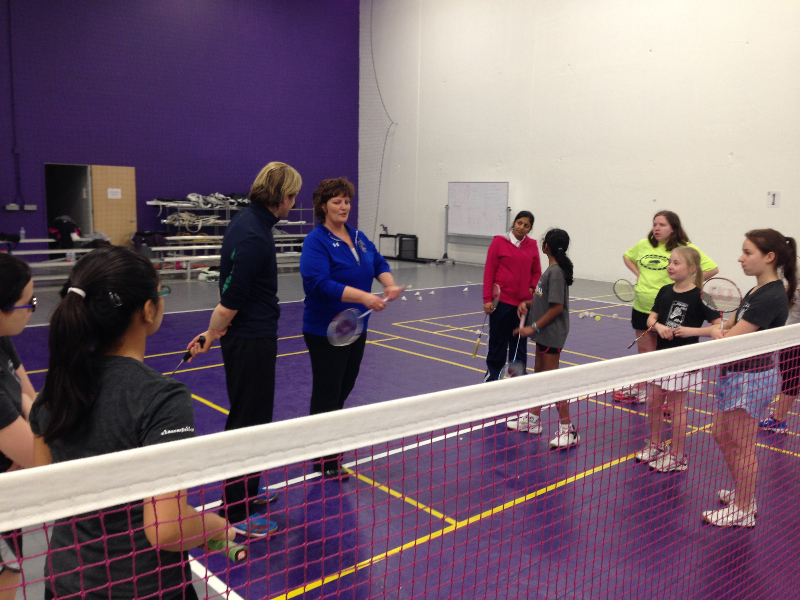 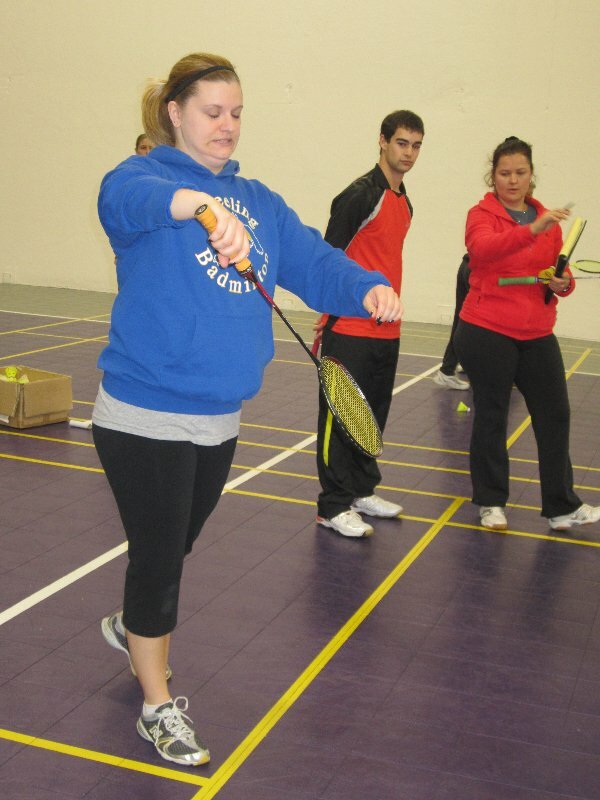 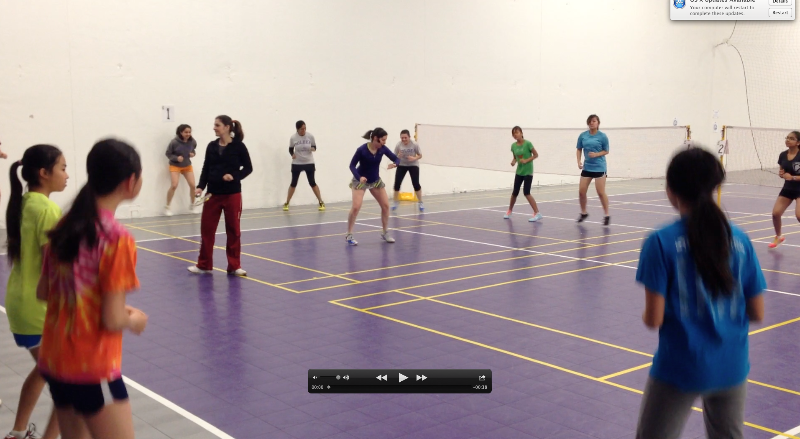 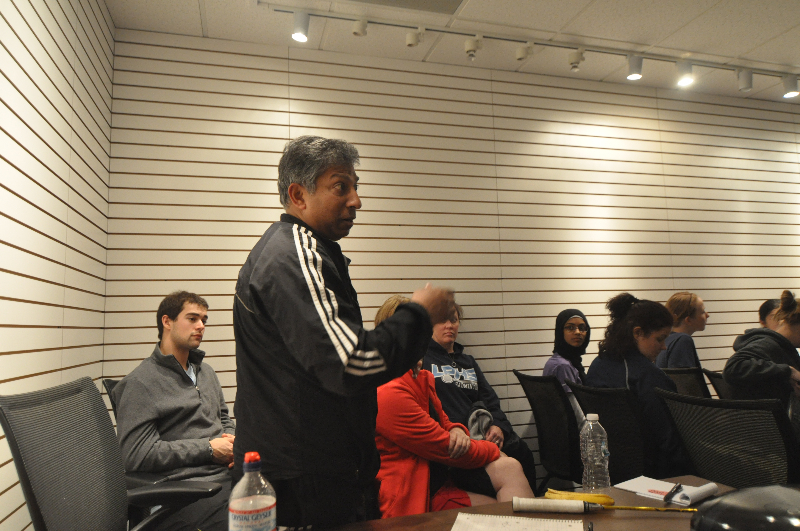 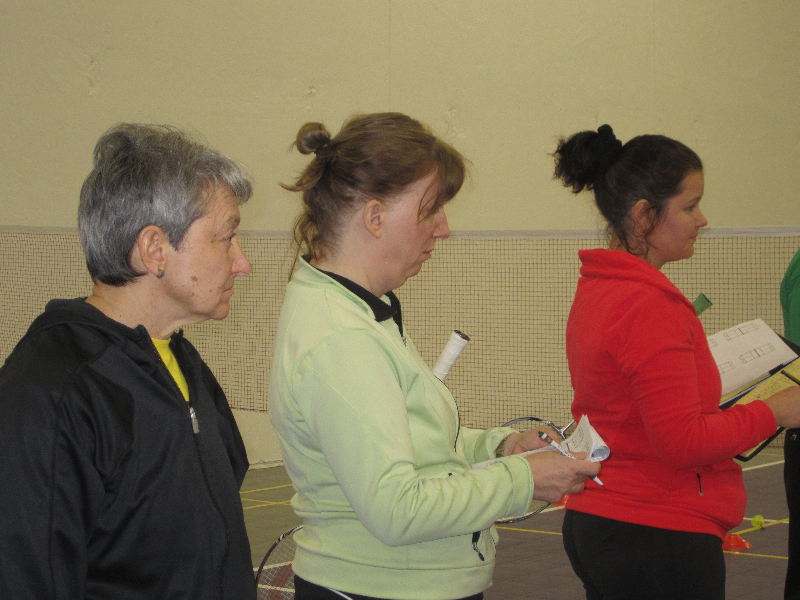 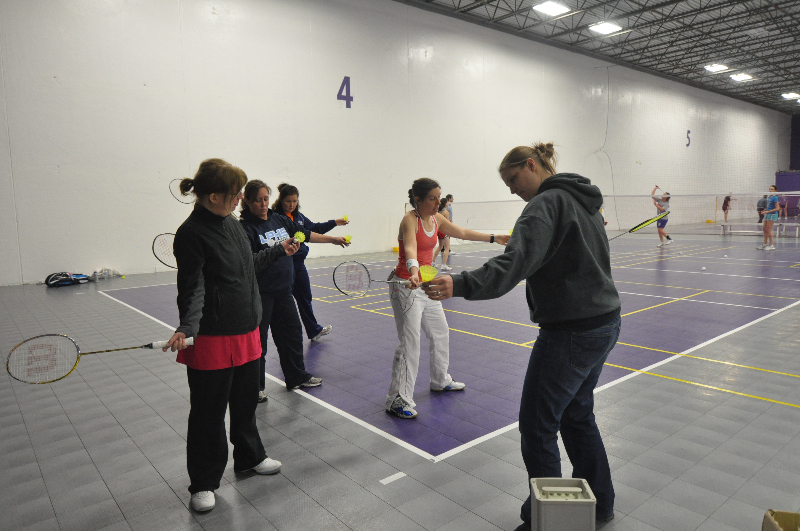 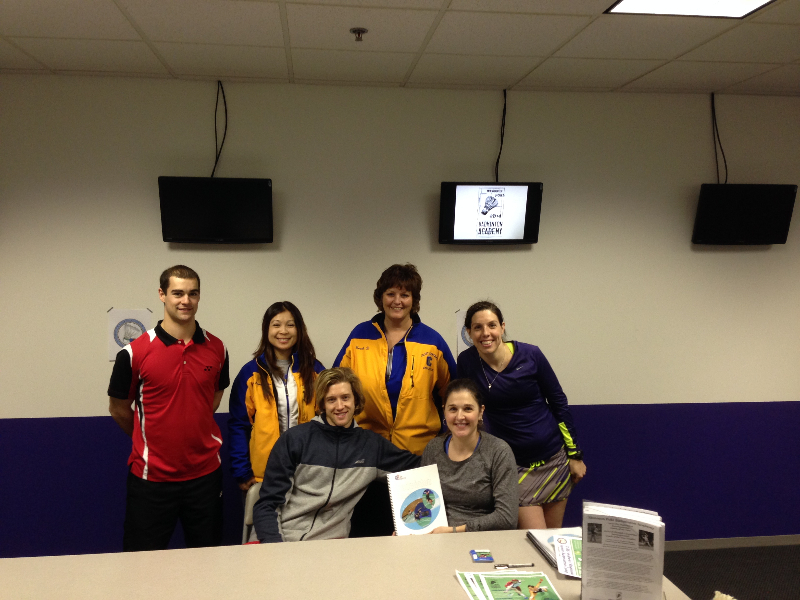 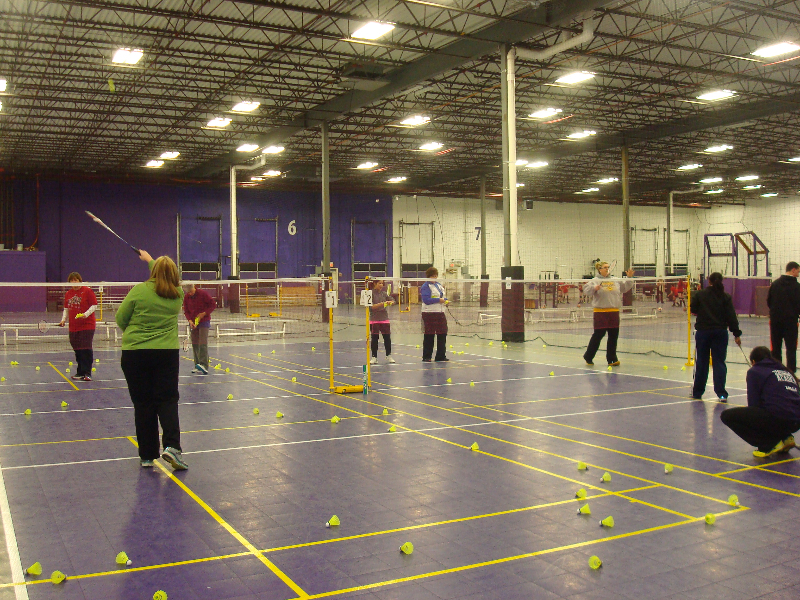 The SPBA was given a grant from the United States Badminton Educational Foundation to host a special camp in 2014 with some of the top players and coaches around. 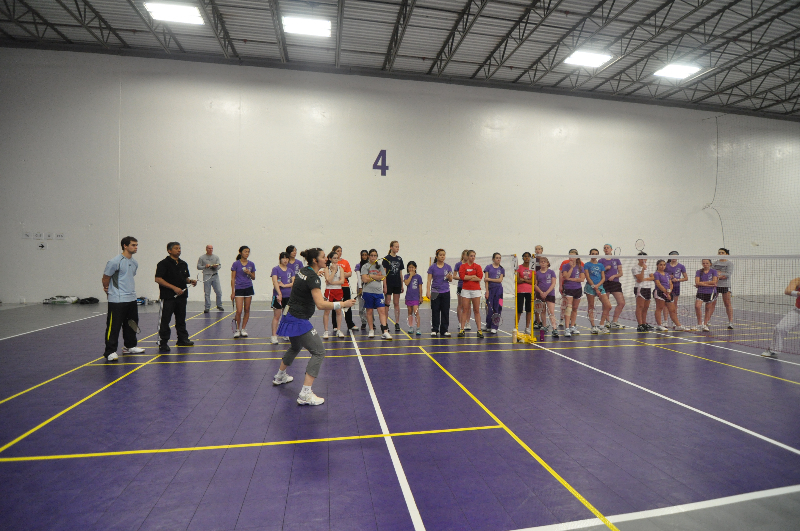 We were very fortunate to have been given this regional camp twice and we hope to host it again sometime in the future! 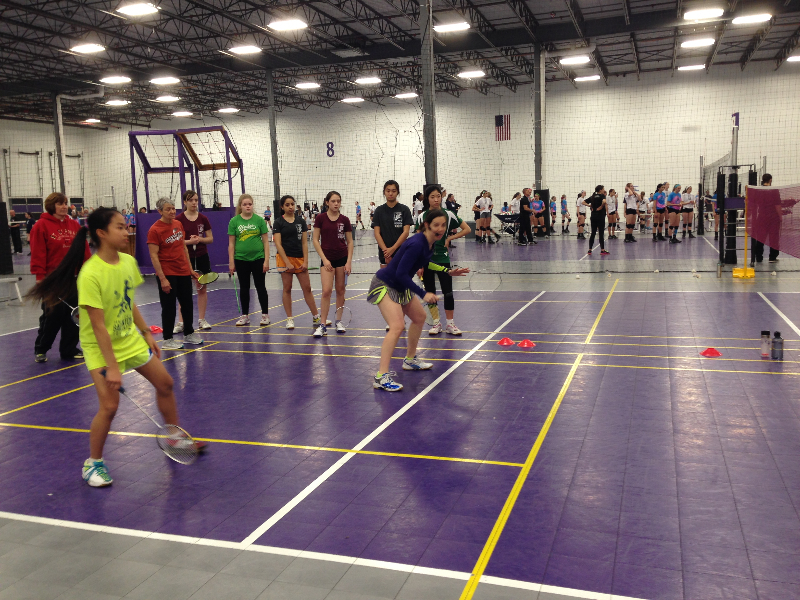 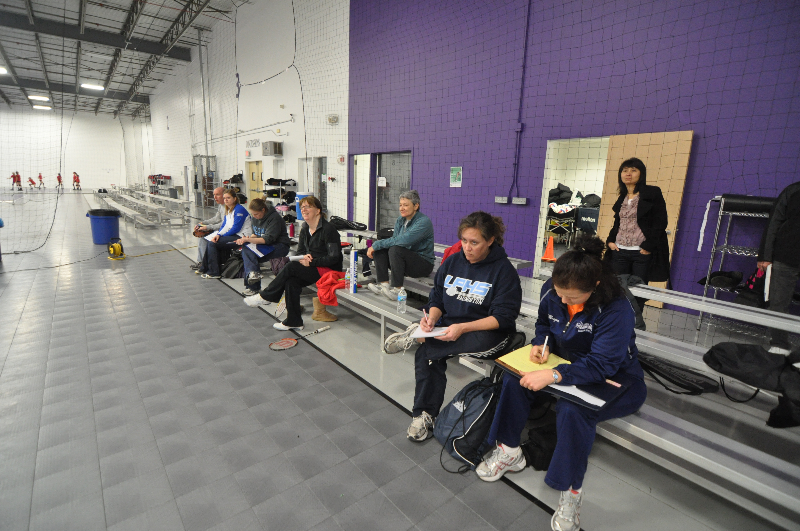 The USBEF Midwest Regional Junior Camp & Coaching Clinic had 31 junior players, and 12 coaches participating in the coaching clinic. 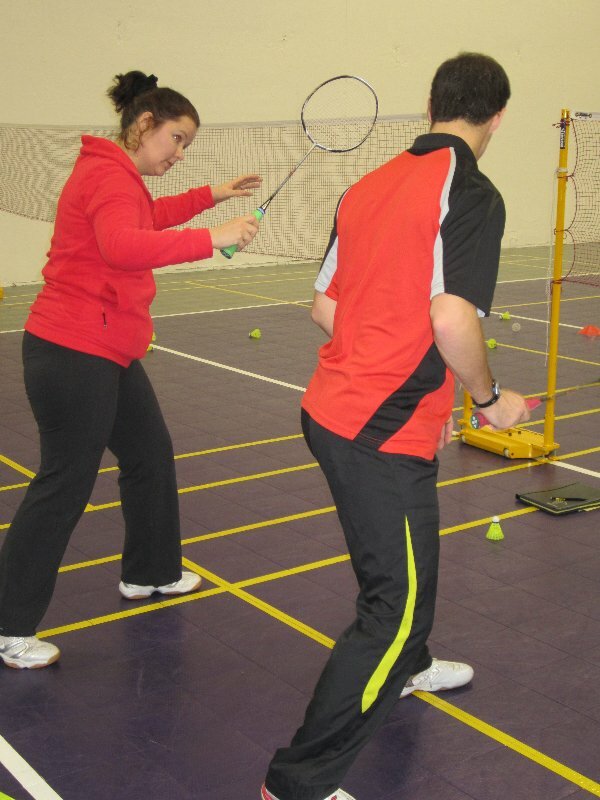 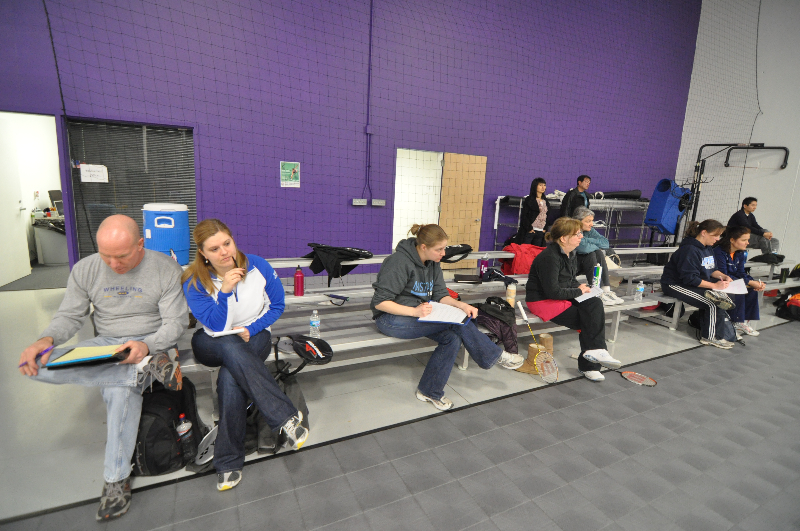 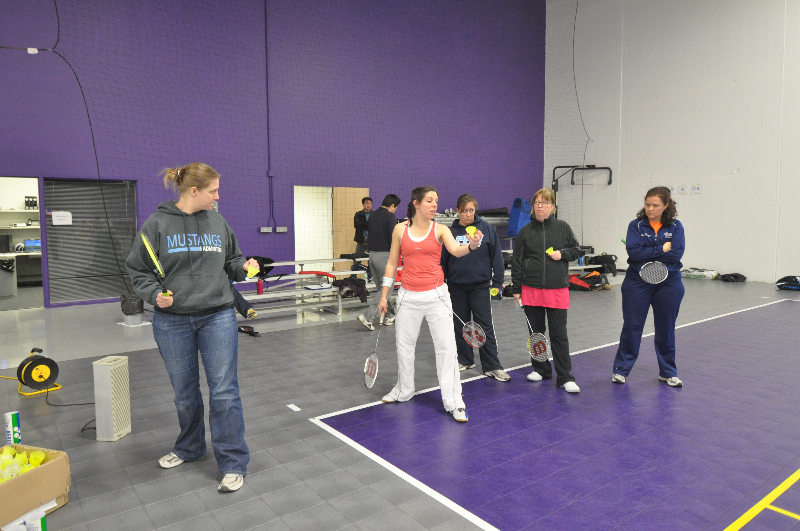 Fun was had by all and everyone was thrilled to have such top level coaching from our elite staff. 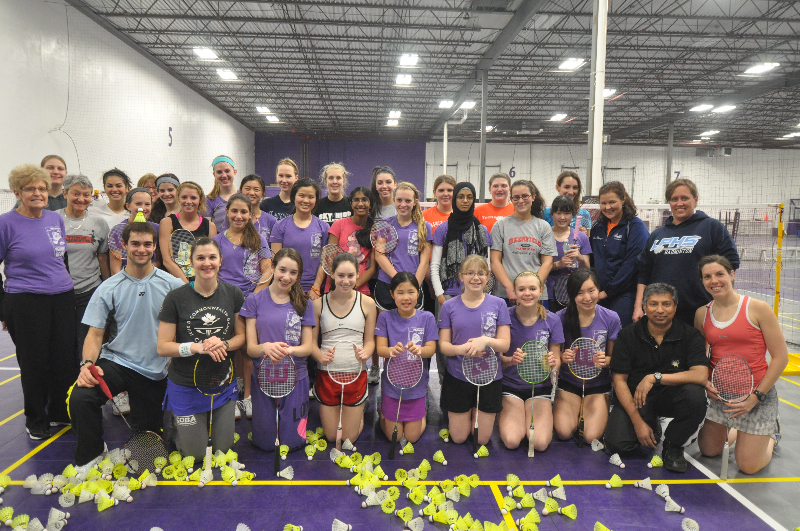 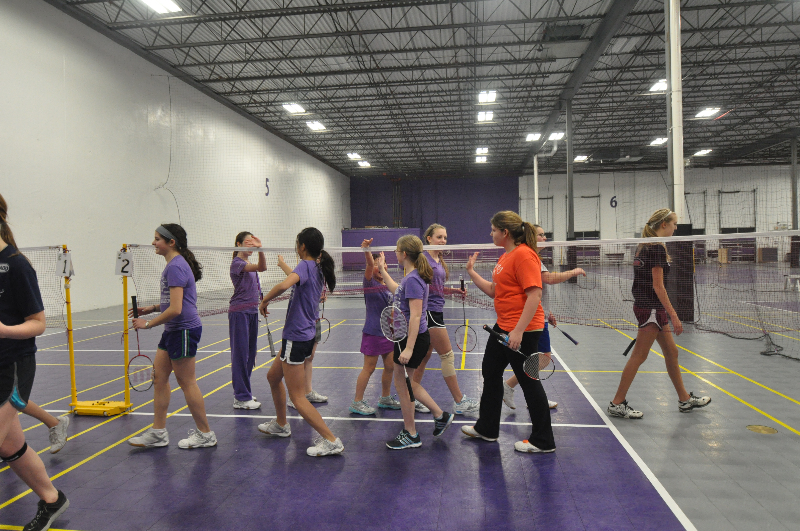 The two day camp focused on serving and shot technique, drills, footwork, and singles and doubles game play. 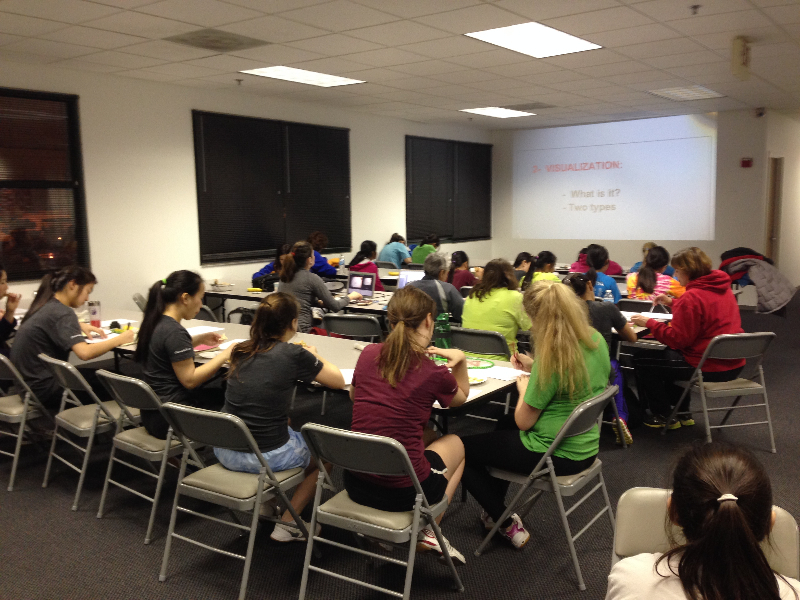 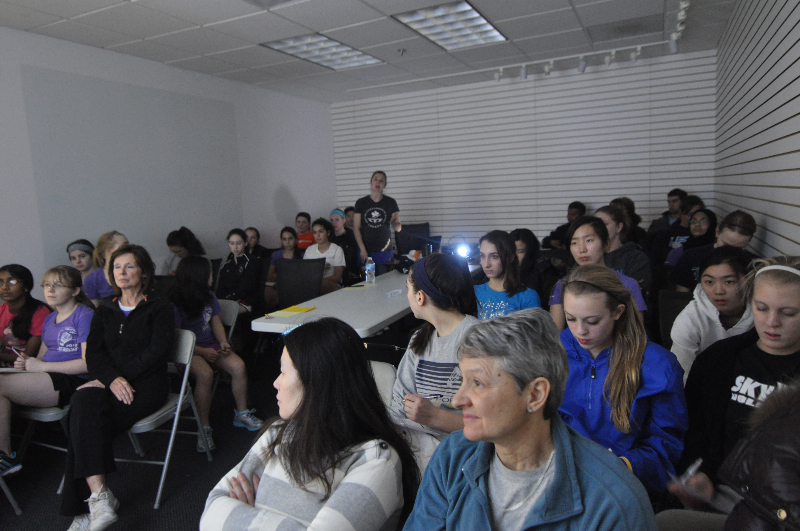 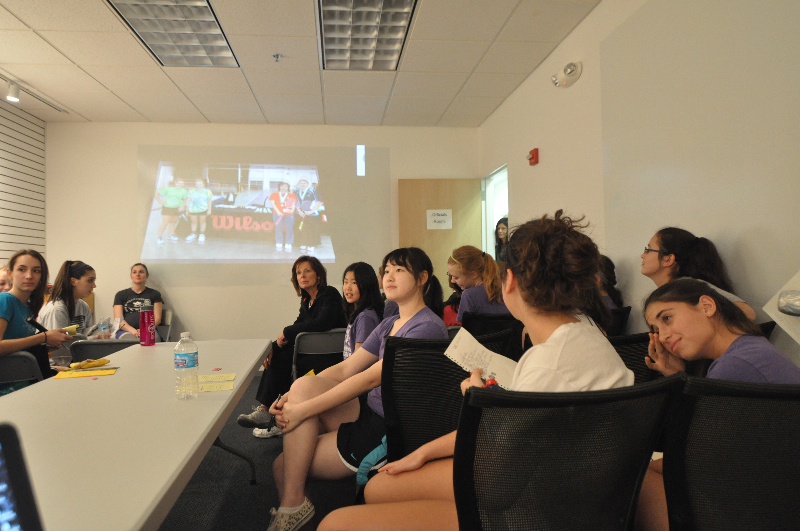 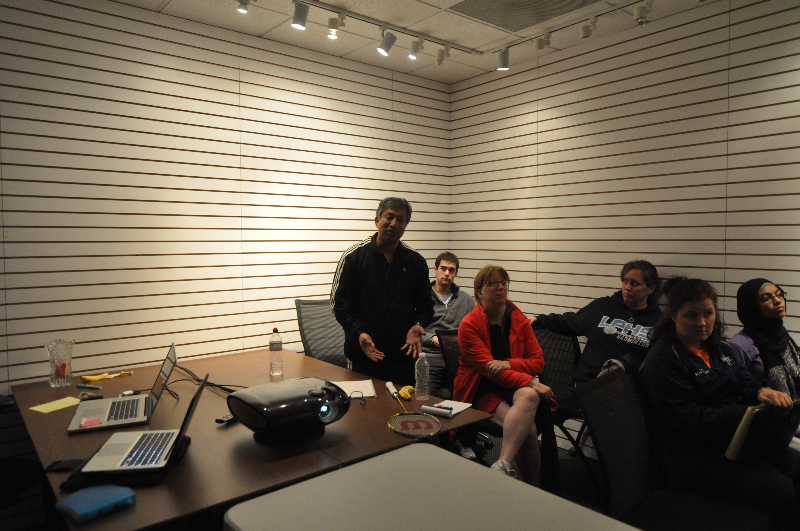 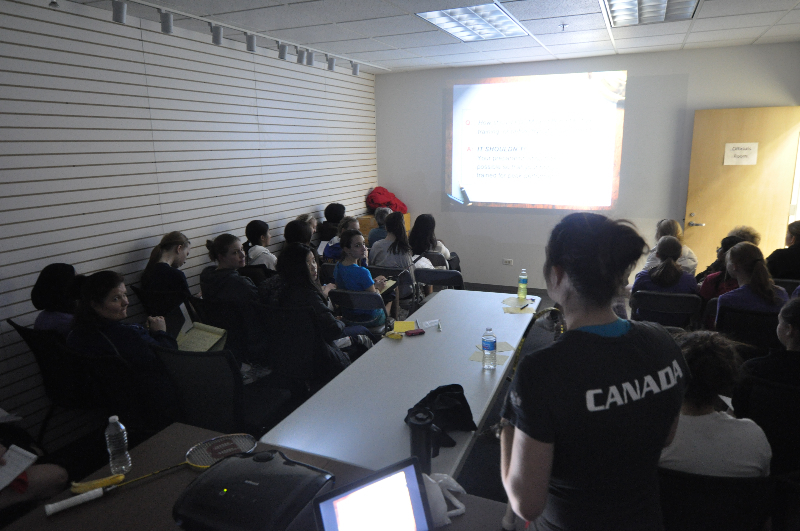 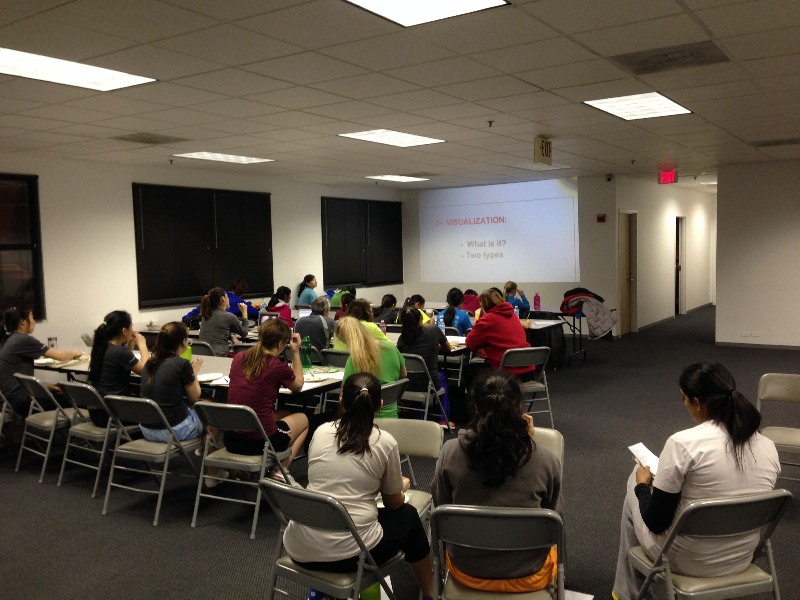 Each day we were treated to a video presentation on the mental game, tournament preparation, nutrition and strategy. 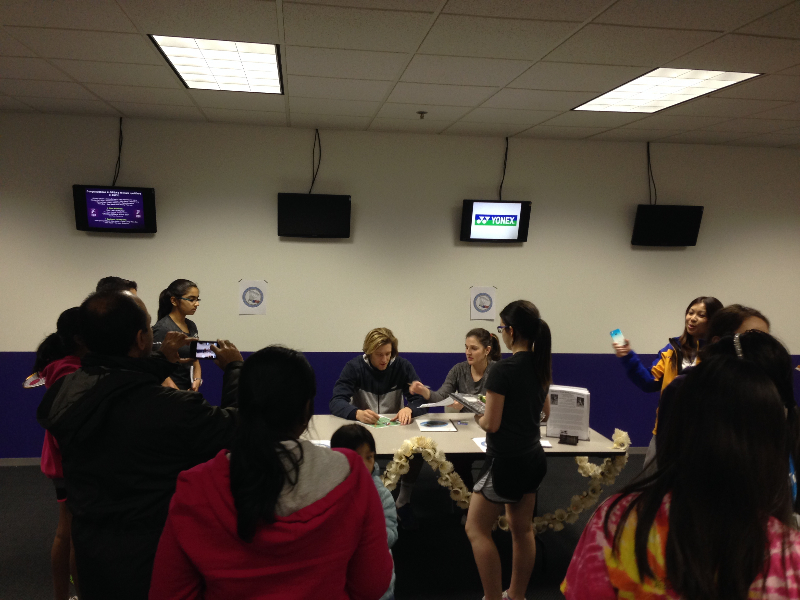 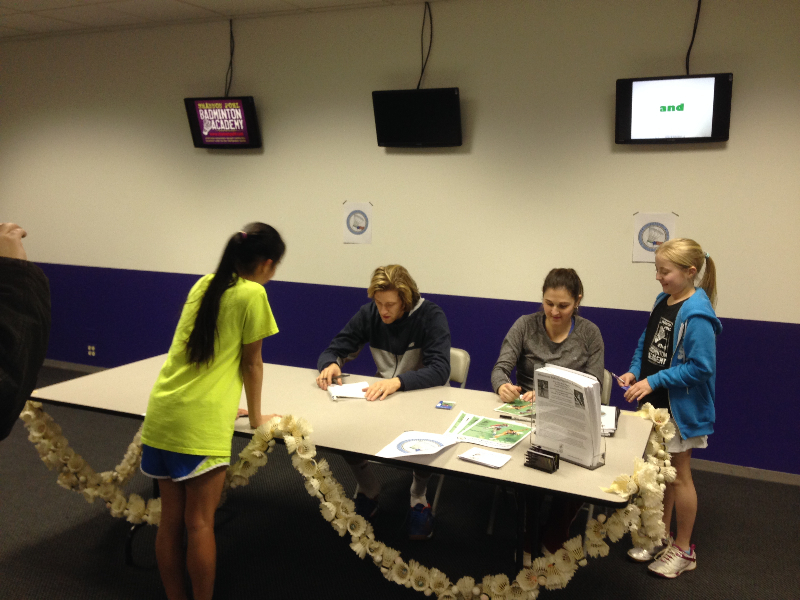 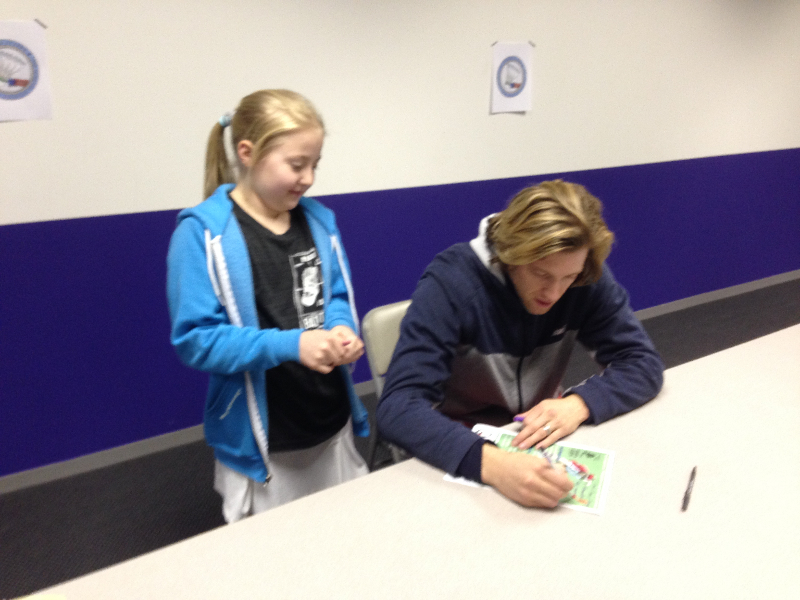 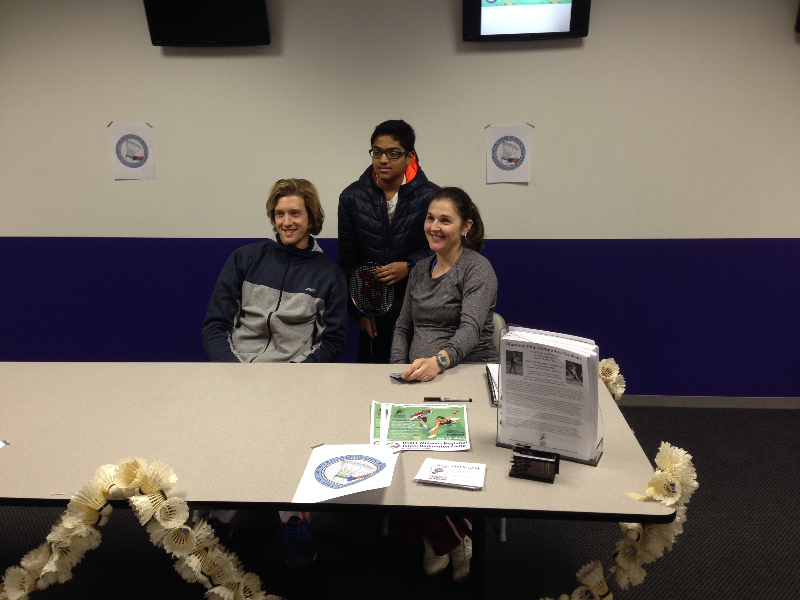 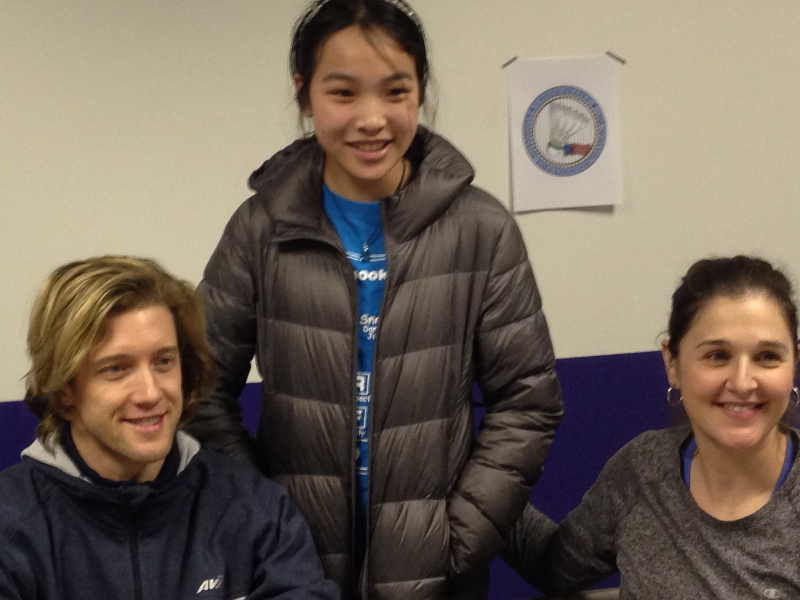 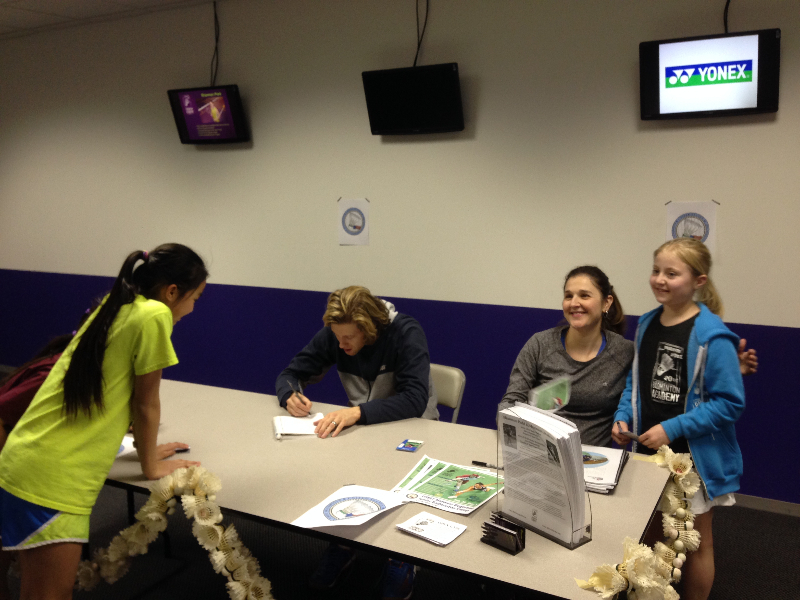 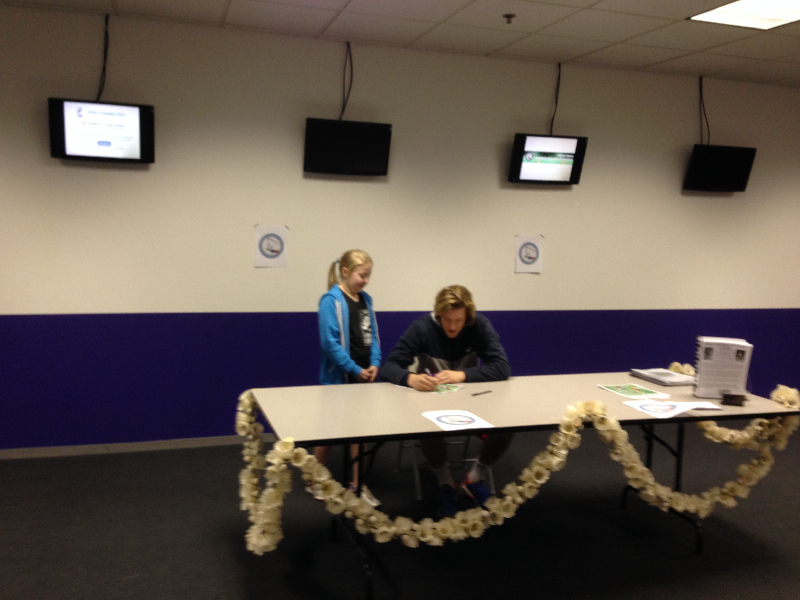 The camp ended with a fun autograph session with Bobby and Anna! 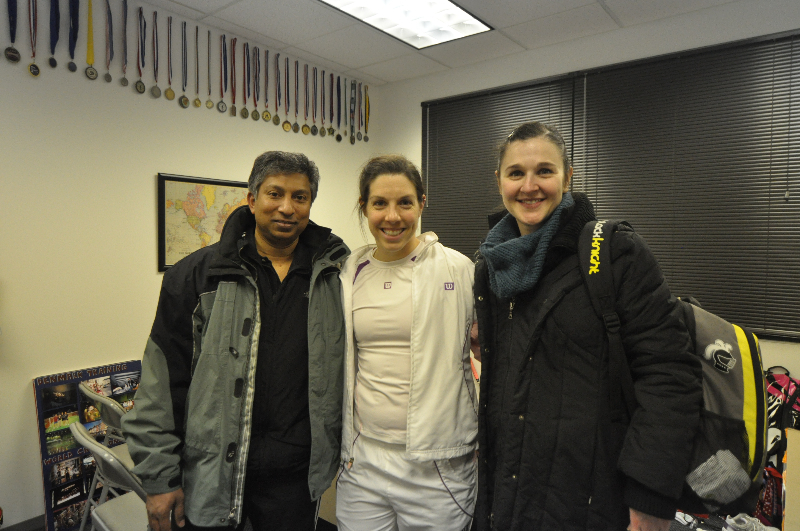 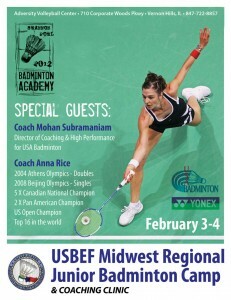 Anna Rice is an 2 X Olympian (once in singles and once in doubles), top 16 in the world, 5 X Canadian National Champion, 2 X Pan American Champion, US Open winner & coach of betterbadminton.com and Badminton Vancouver. Bobby Milroy is the current Canadian National Champion (he also won 16 years earlier), World Ranking #18, Swiss Open Champion, & former President of the World Badminton Players Federation. 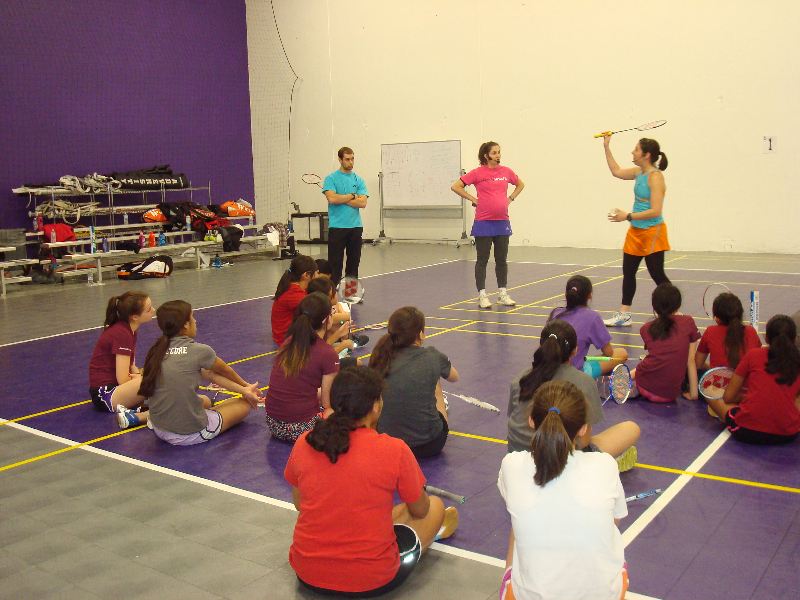 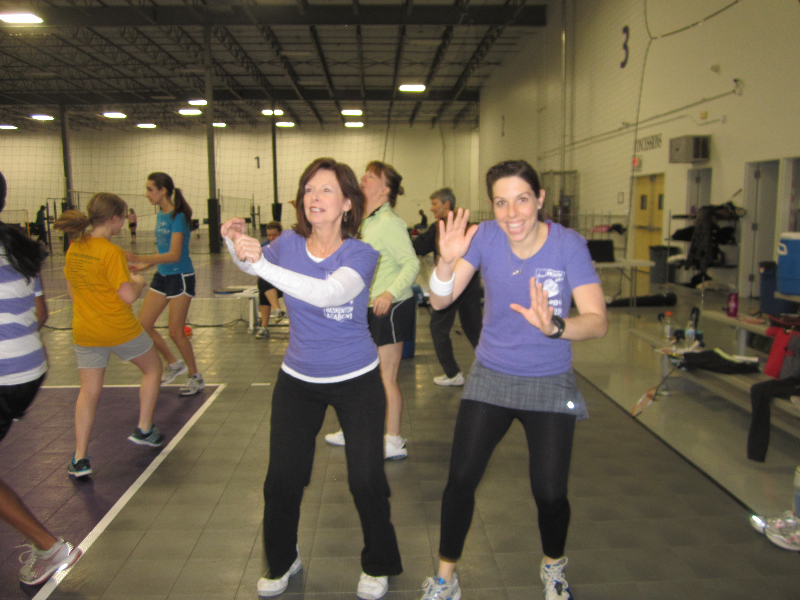 Shannon Pohl is the 2012 USA Badminton Developmental Coach of the Year and she was also one of three finalist for the 2012 US Olympic Committee Coach of the Year amongst all Olympic sports. She is also a 4 X US World Championships Team Member and a former #1 Ranked US Women’s Singles Player and Bronze Medalist at the Pan American Championships. 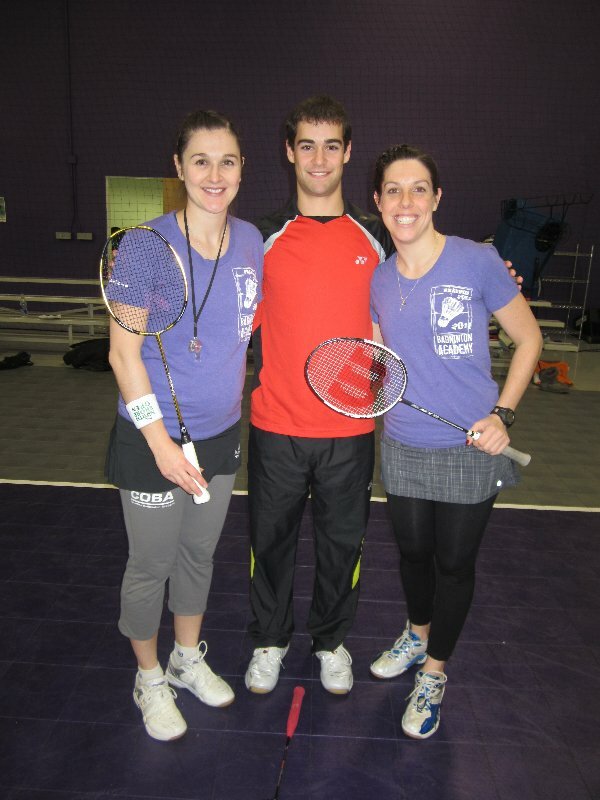 Ben Hussey has been ranked as high as #5 in the US and he was also a member of the Pan Am Championships US Team. 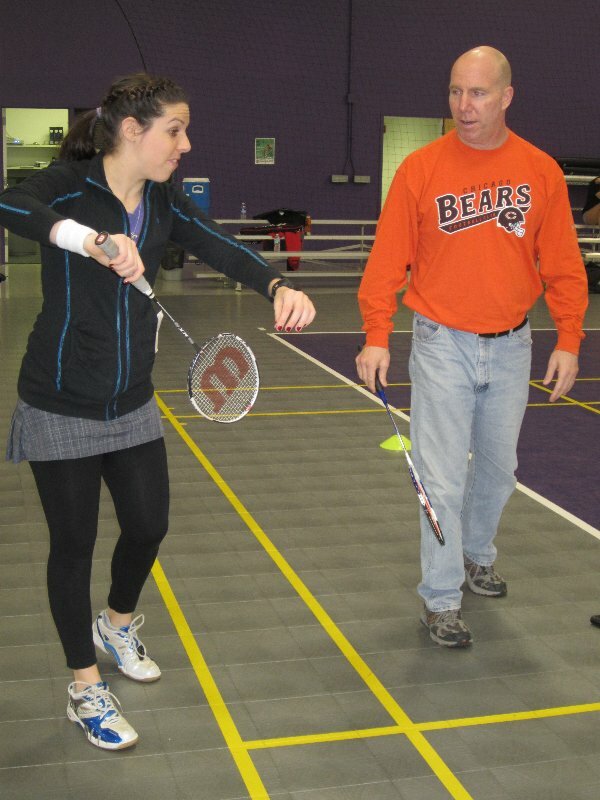 He has won the Midwest Regional Championships 12 times. 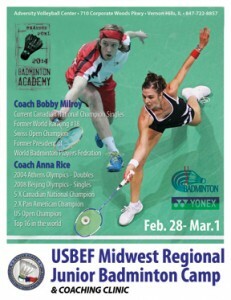 A big thank you to USBEF, USA Badminton, Yonex, and the coaches for helping to bring this exciting event to the Midwest Region. 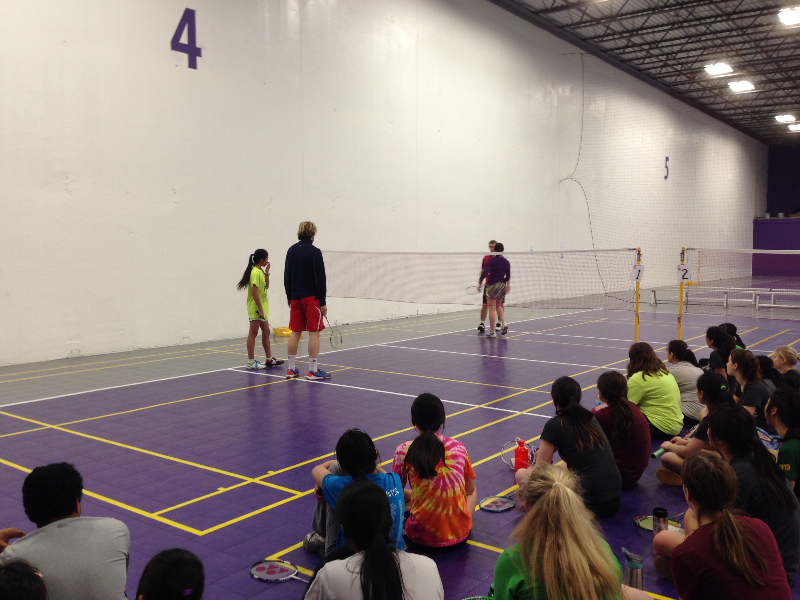 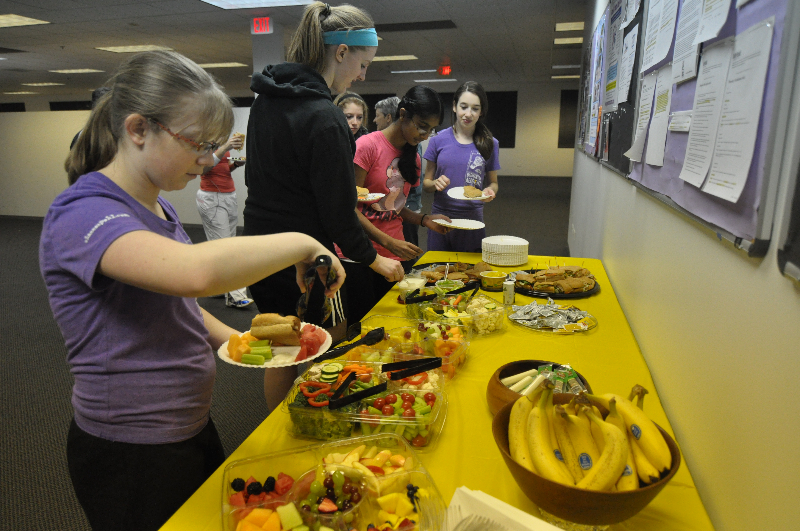 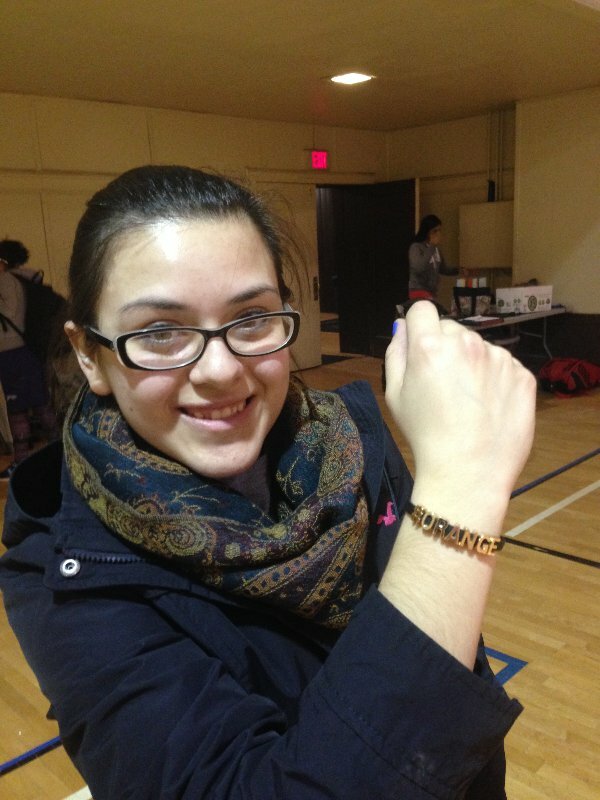 Pranjali Rathi, age thirteen said, “I hope that you can do this more often!” Let’s make this an annual event!